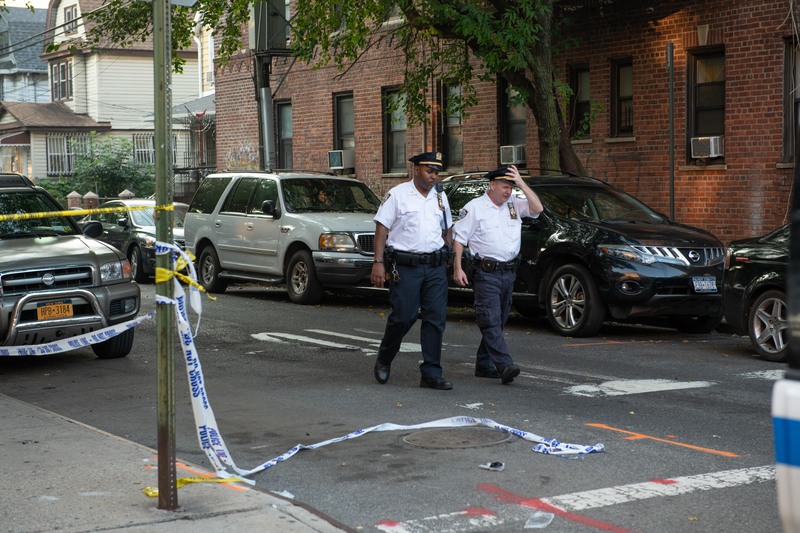 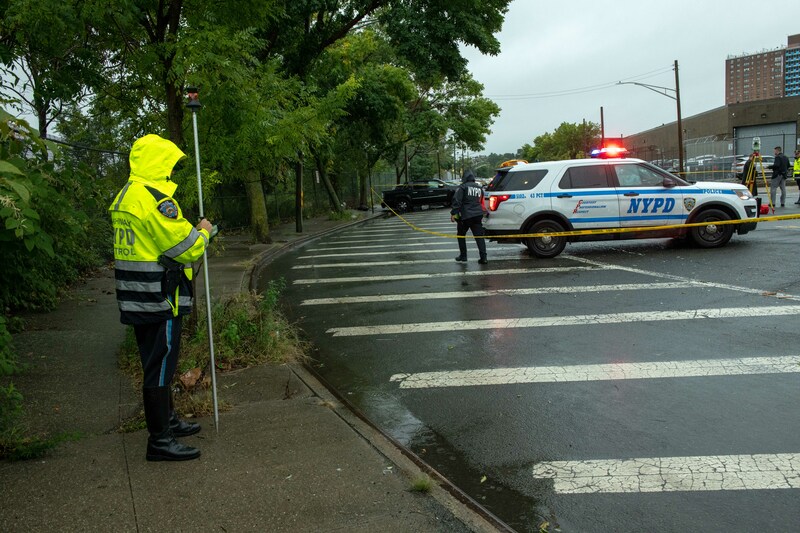 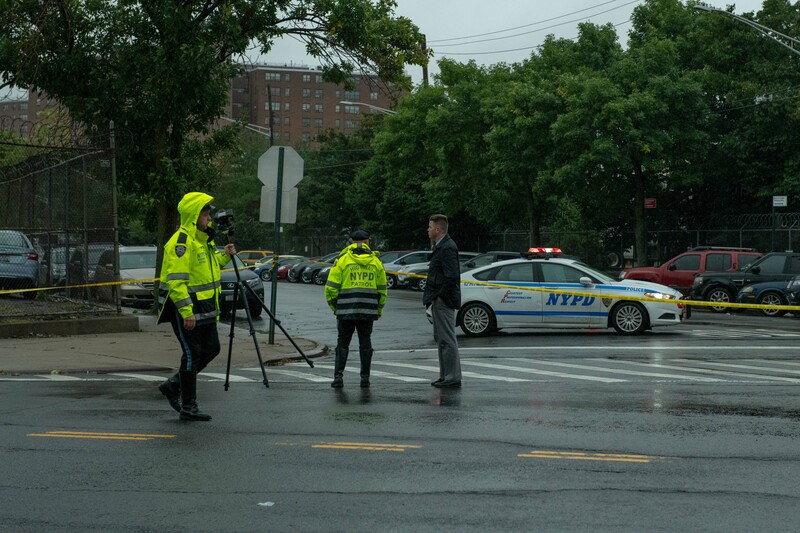 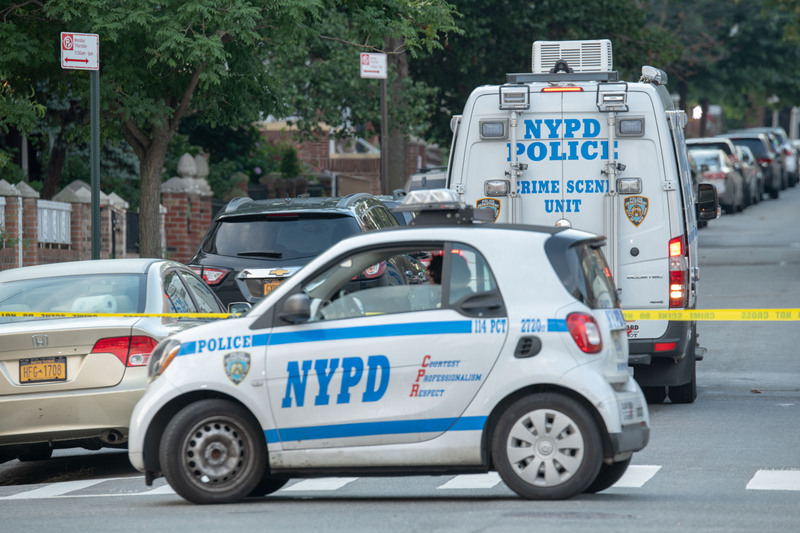 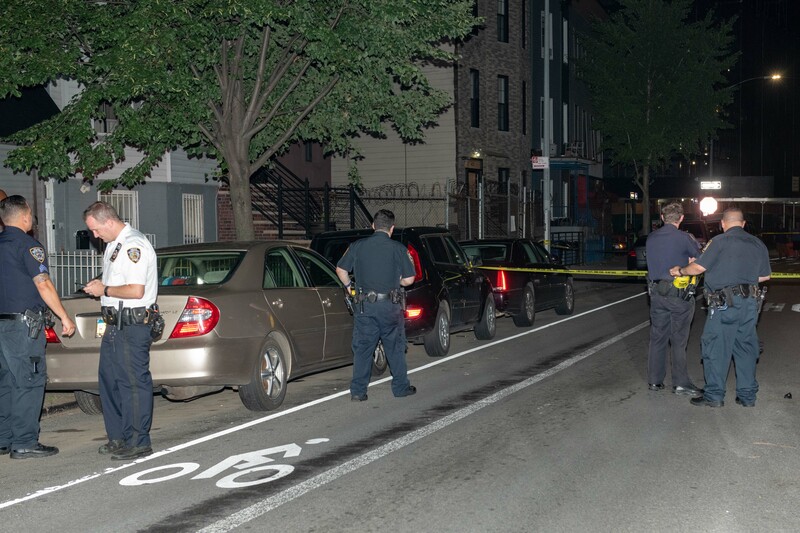 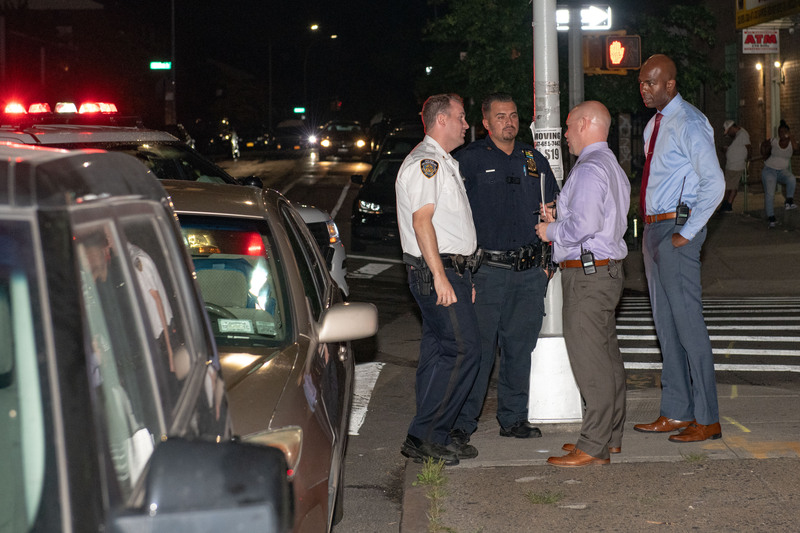 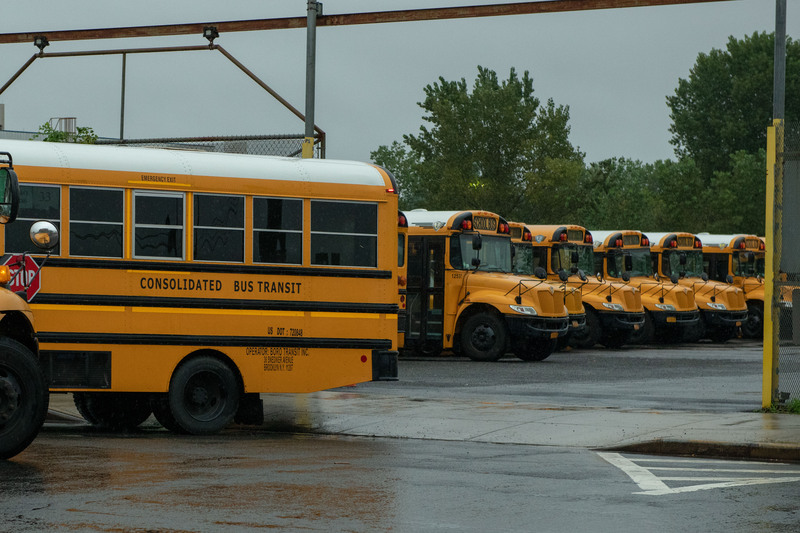 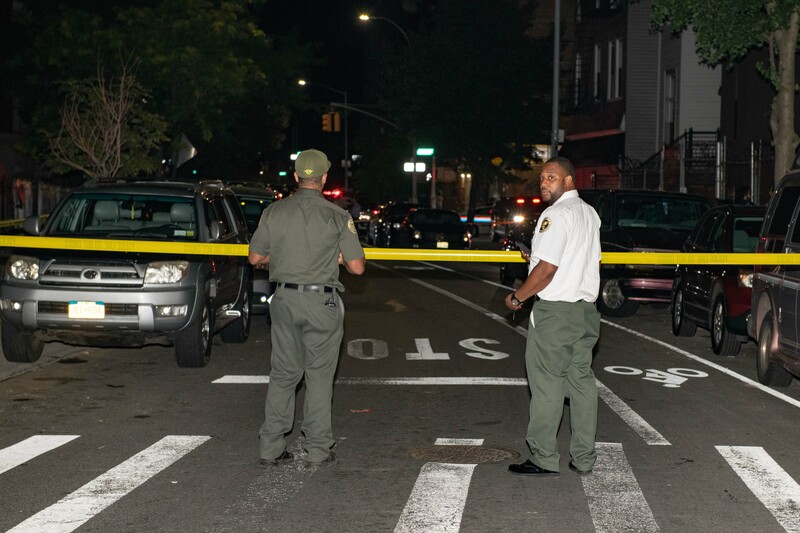 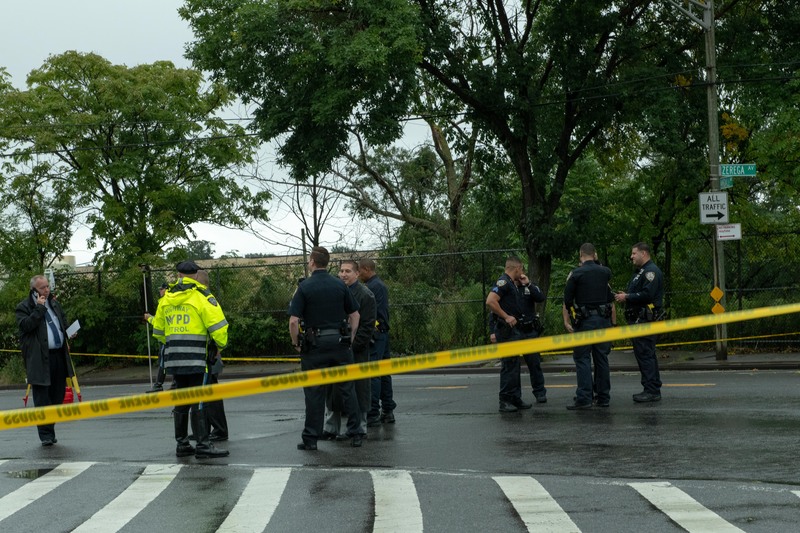 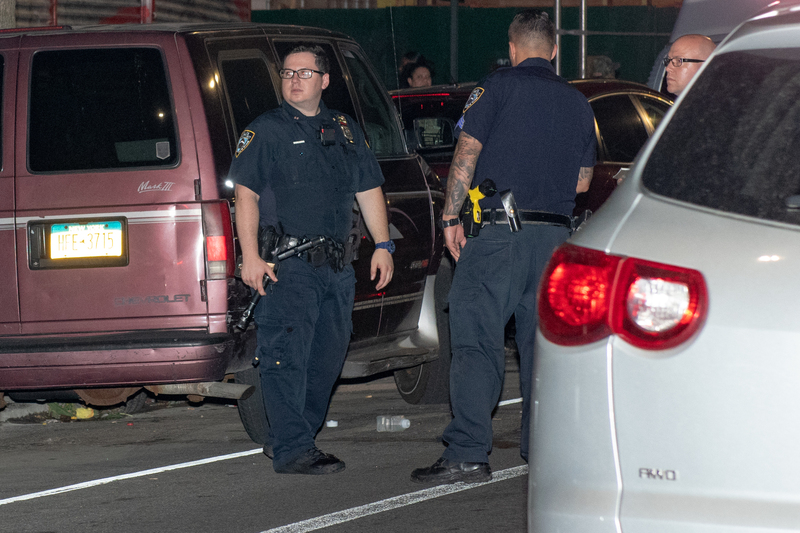 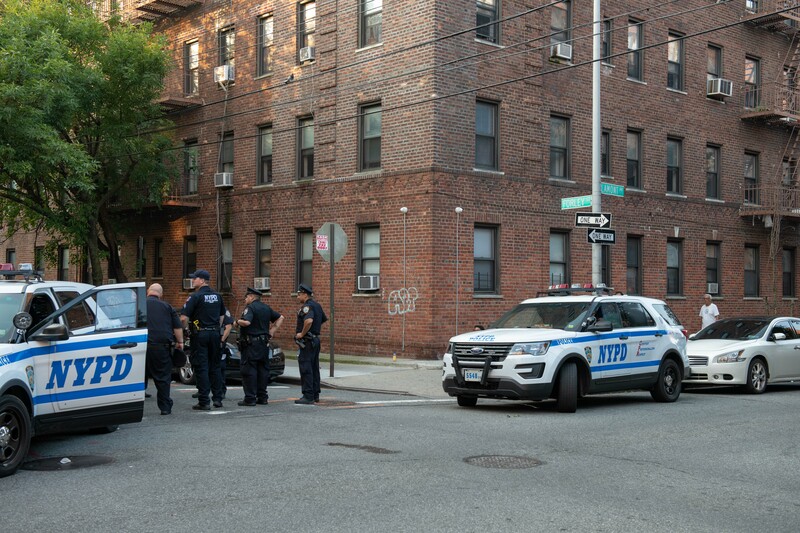 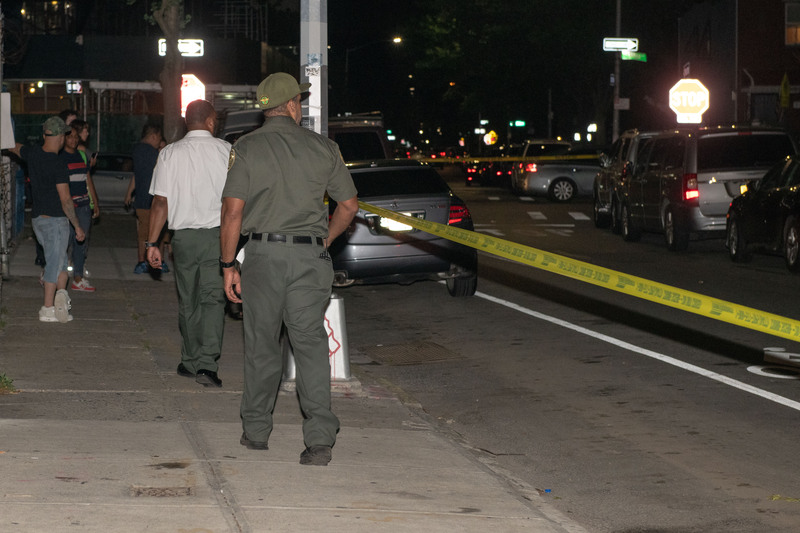 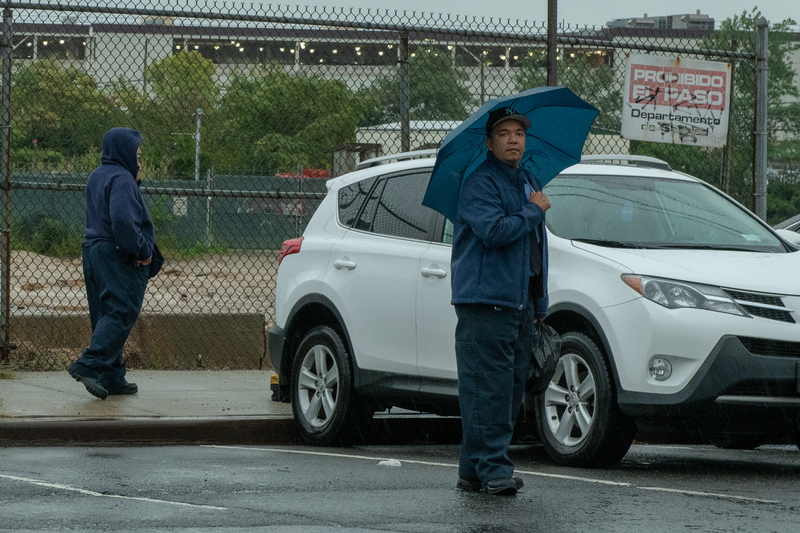 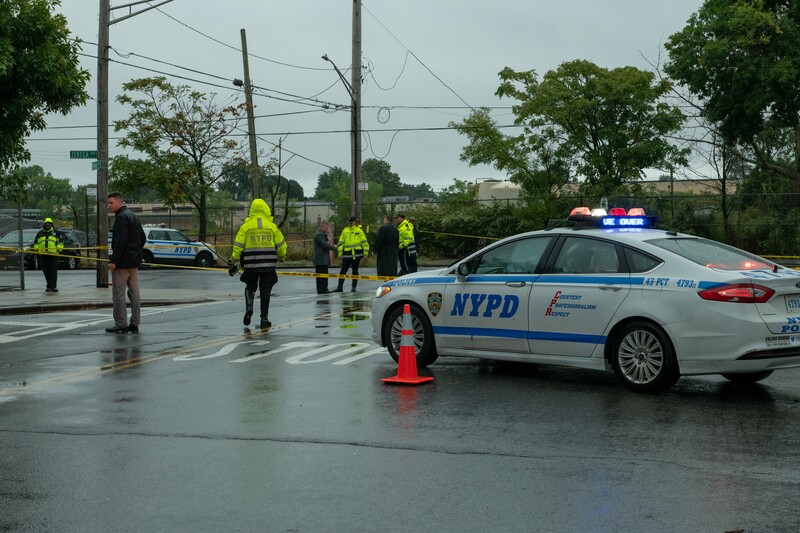 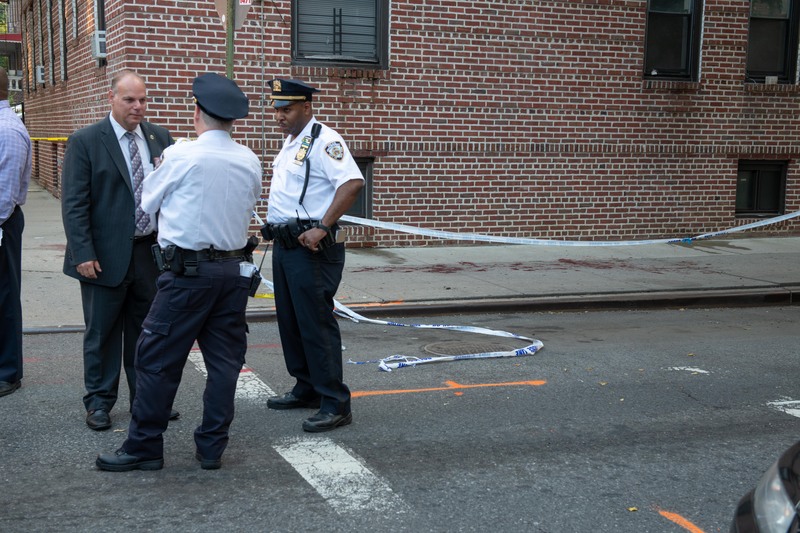 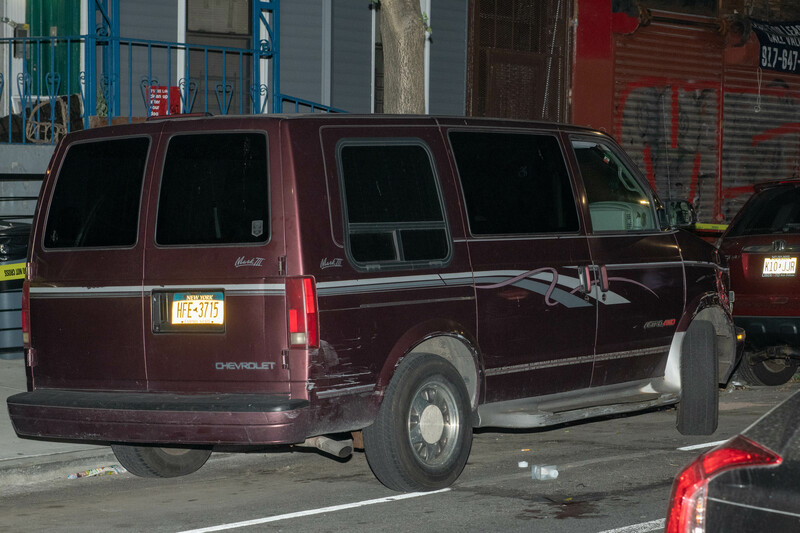 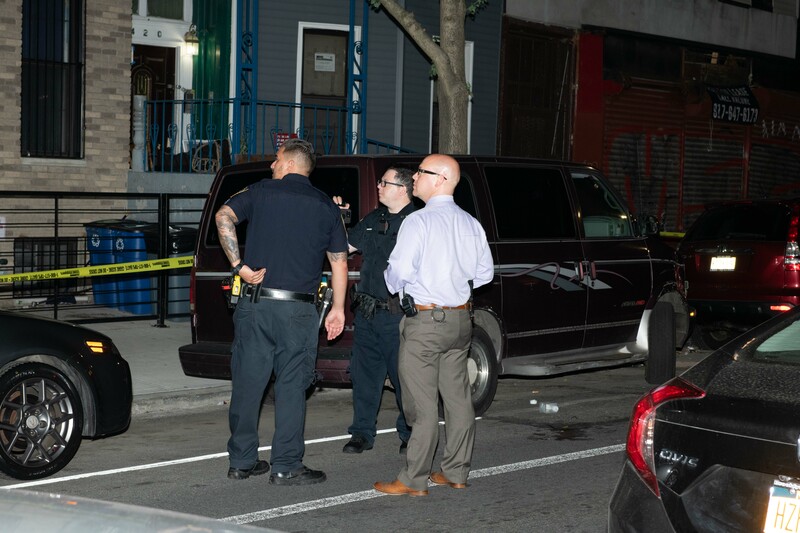 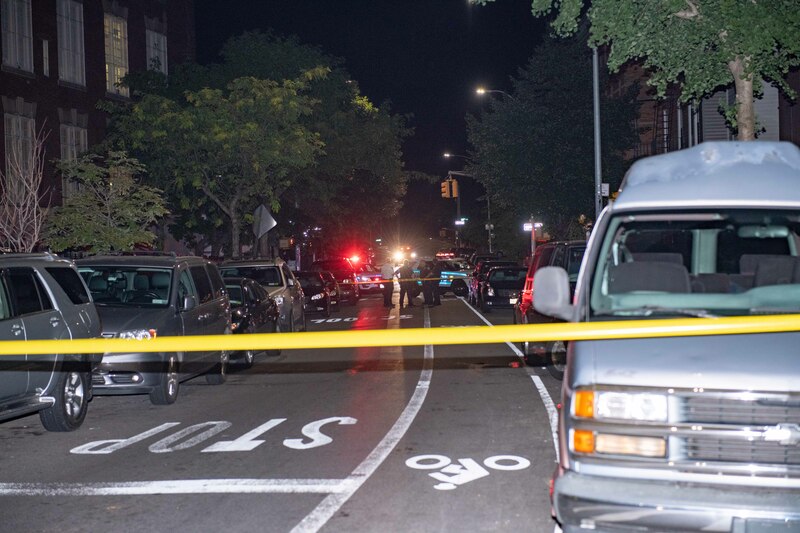 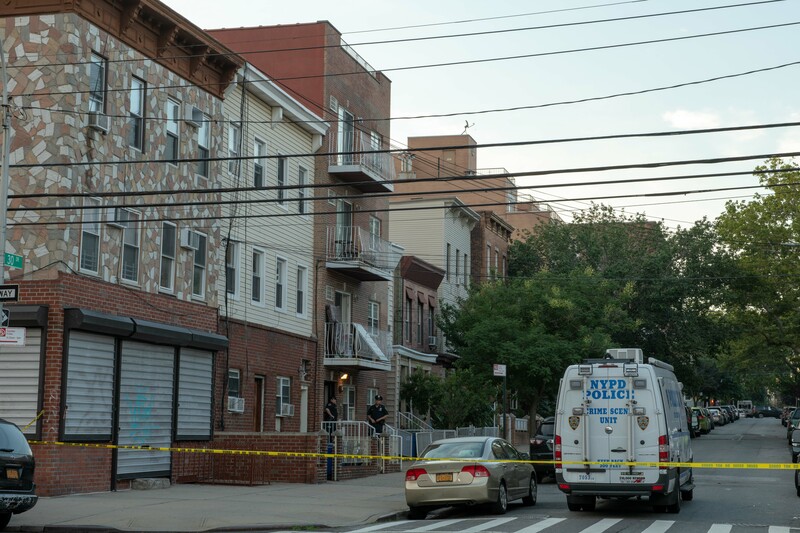 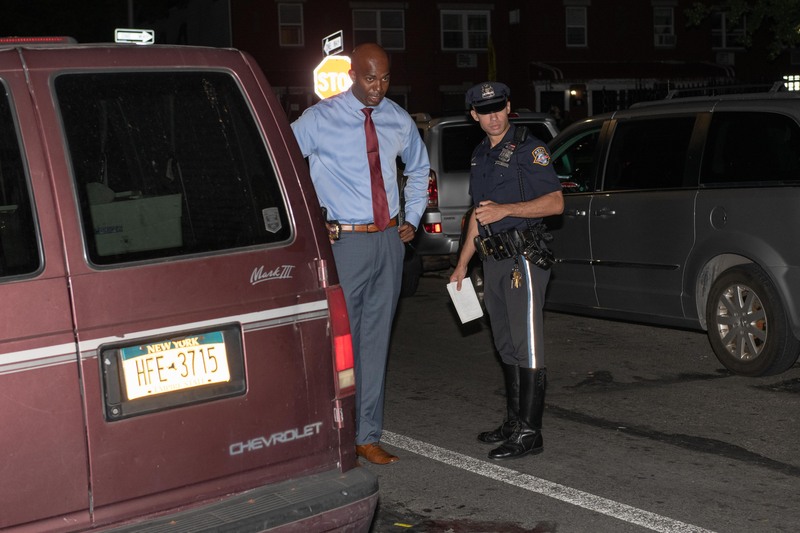 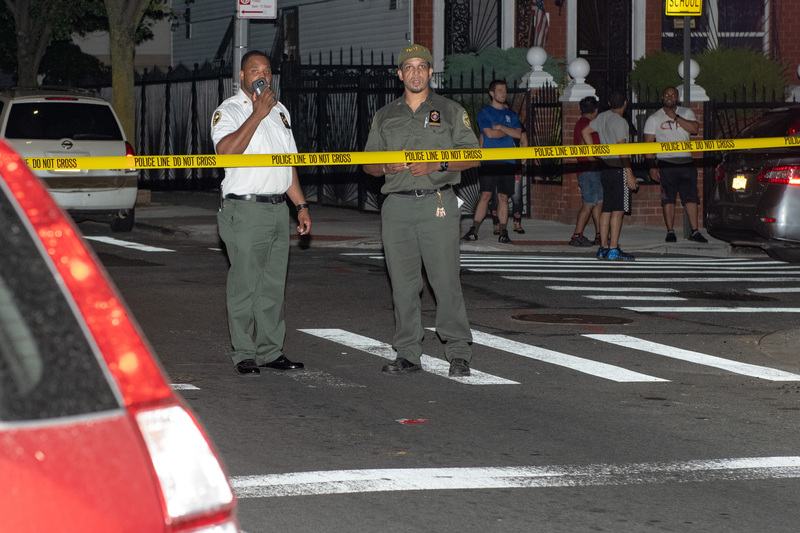 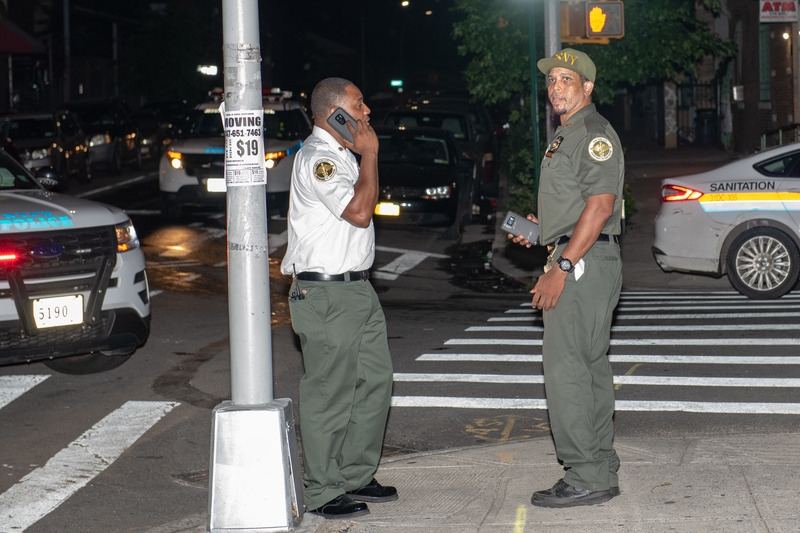 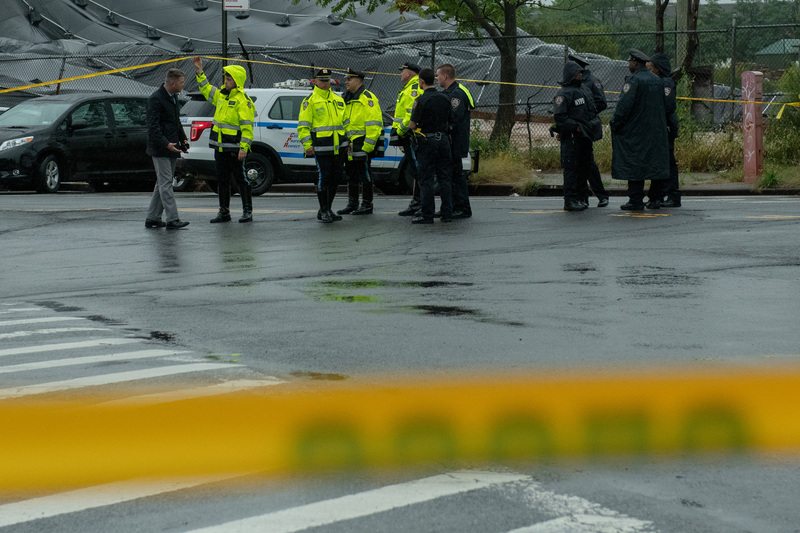 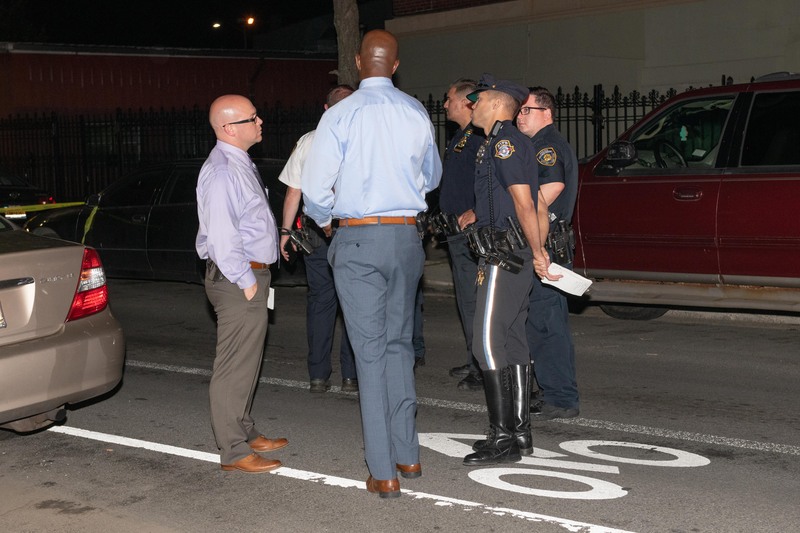 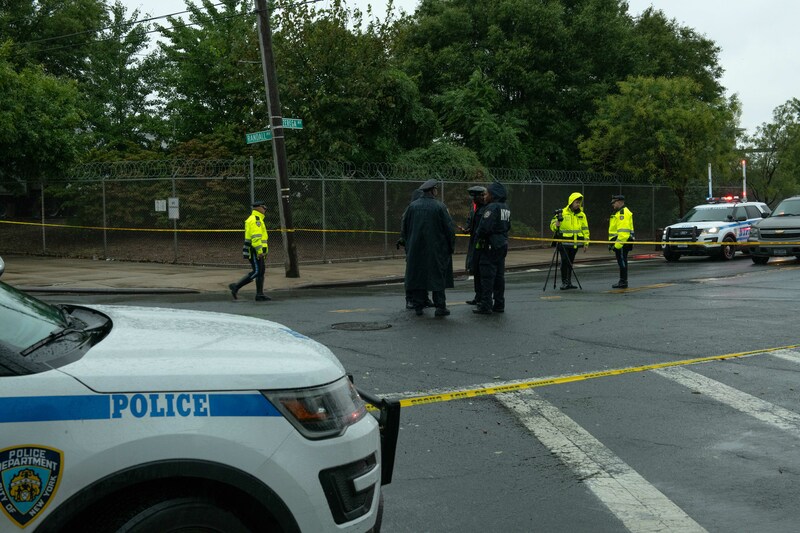 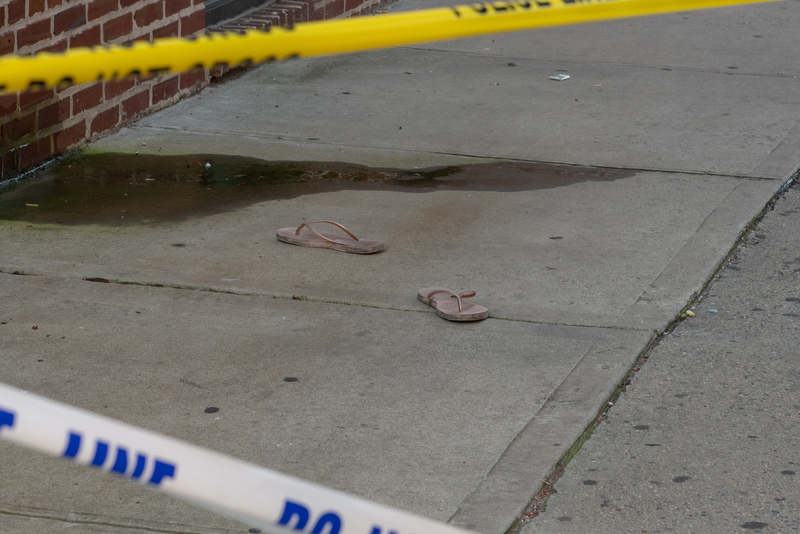 A woman was rushed to Elmhurst Hospital in serious condition after she was stabbed in the neck and shoulder by an ex boyfriend at the intersection of Lamont Avenue and Forley Street in Queens early Tuesday morning. 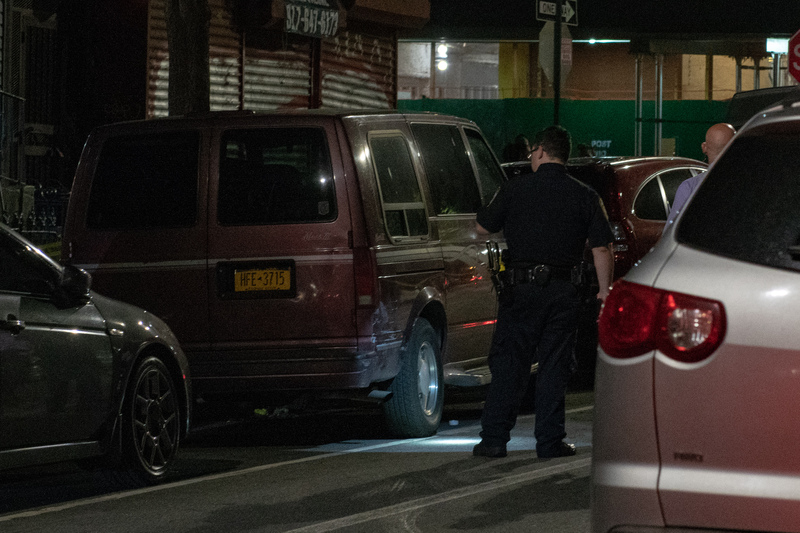 The man then fled the scene and is currently being sought by cops. 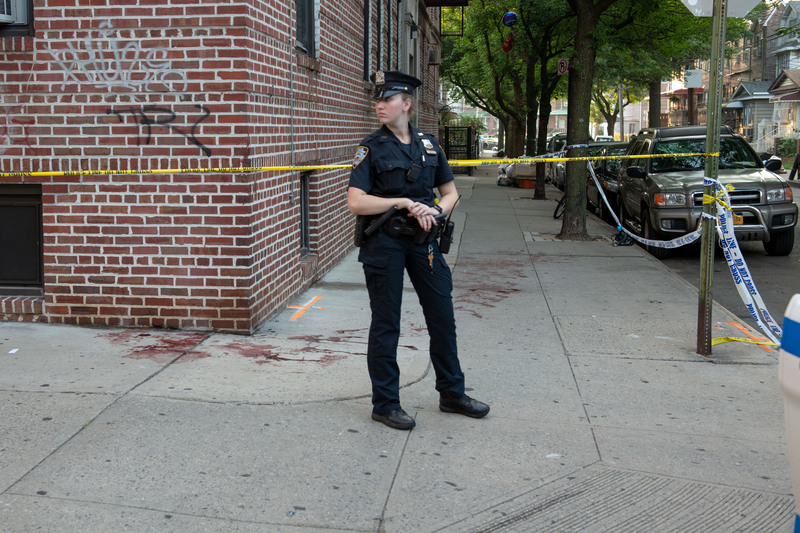 This attack marked the second time that a woman was stabbed by an ex boyfriend in the City in less than twenty four hours. 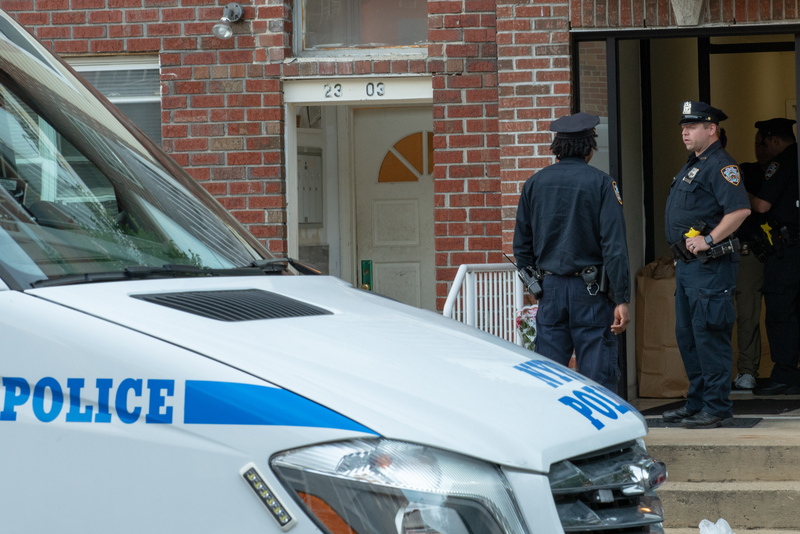 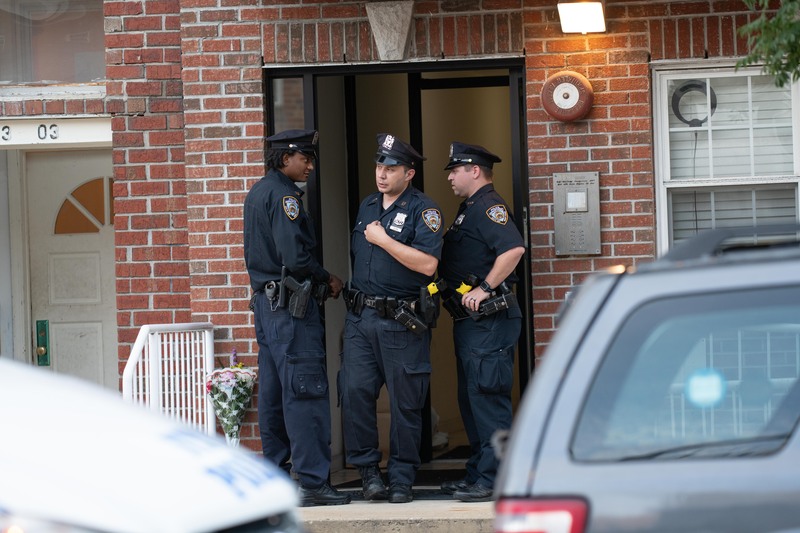 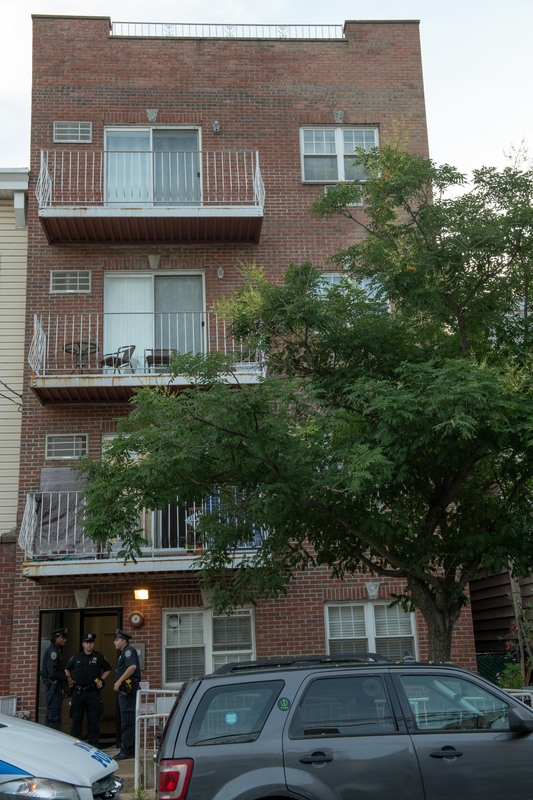 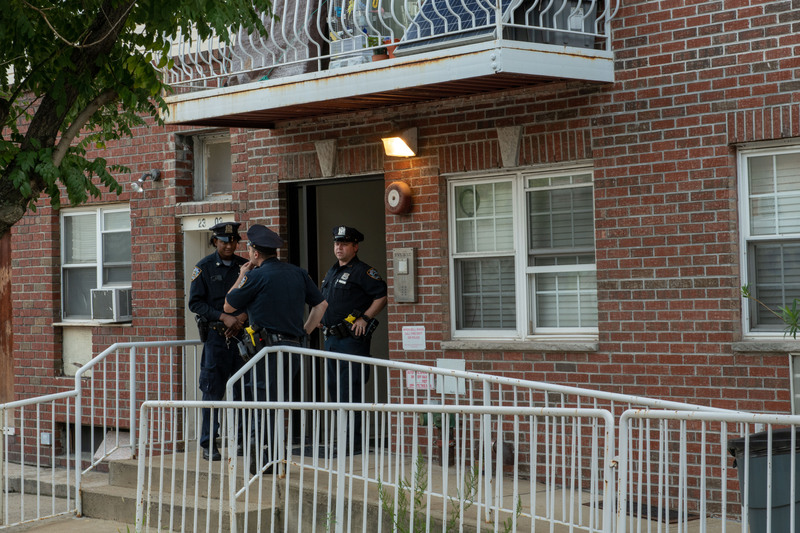 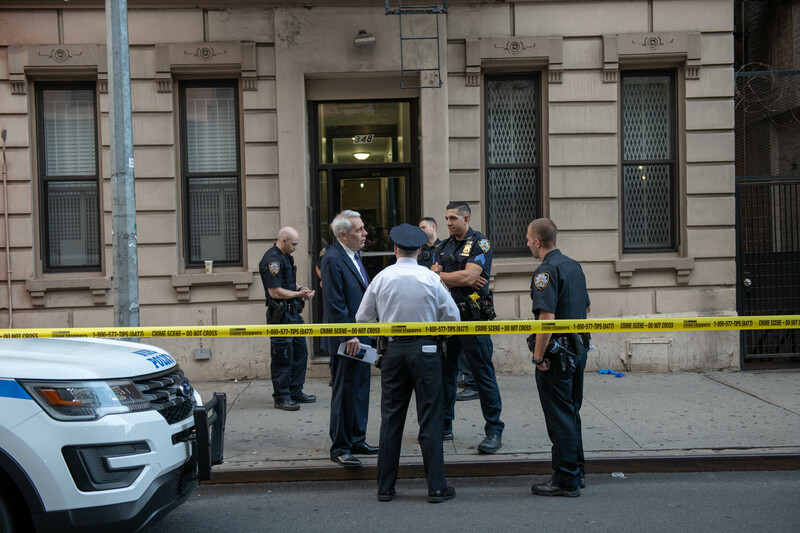 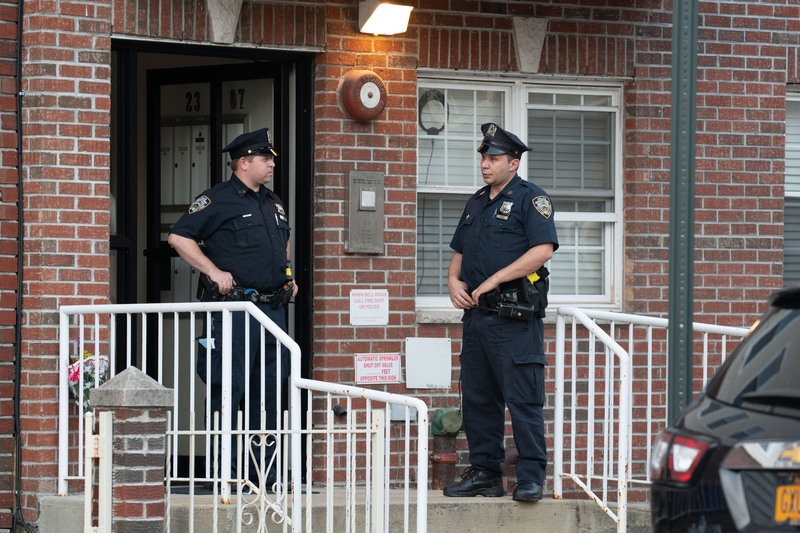 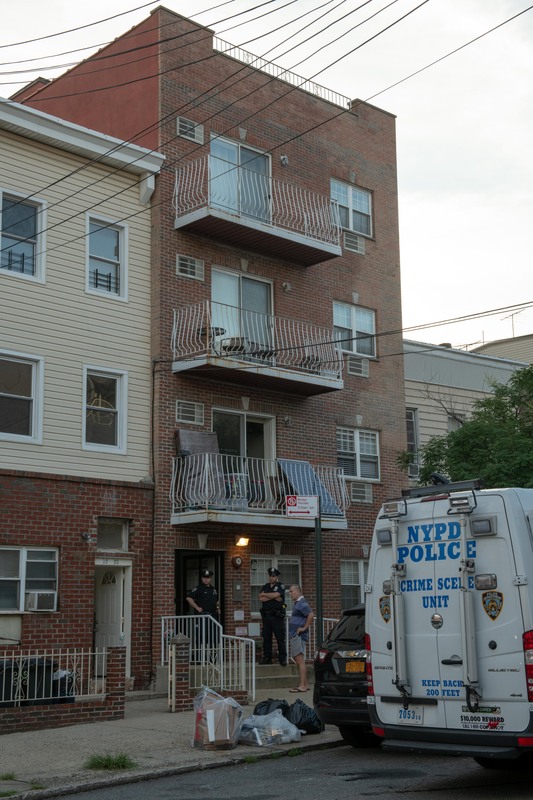 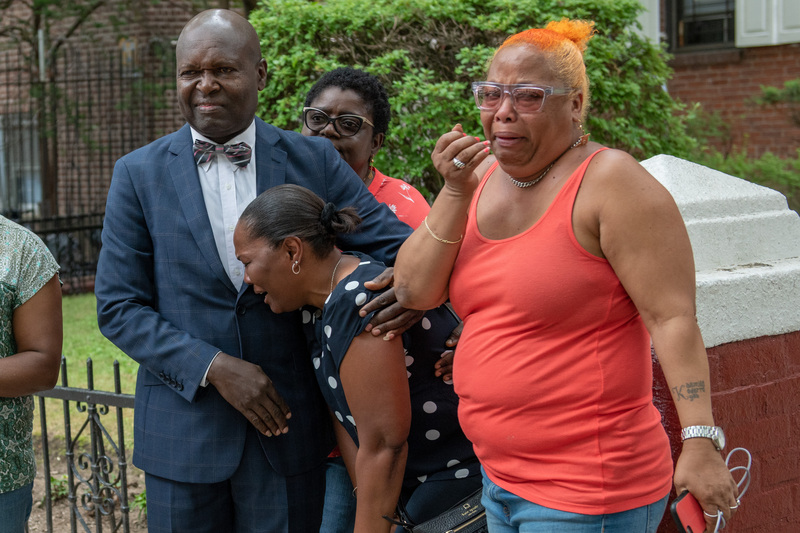 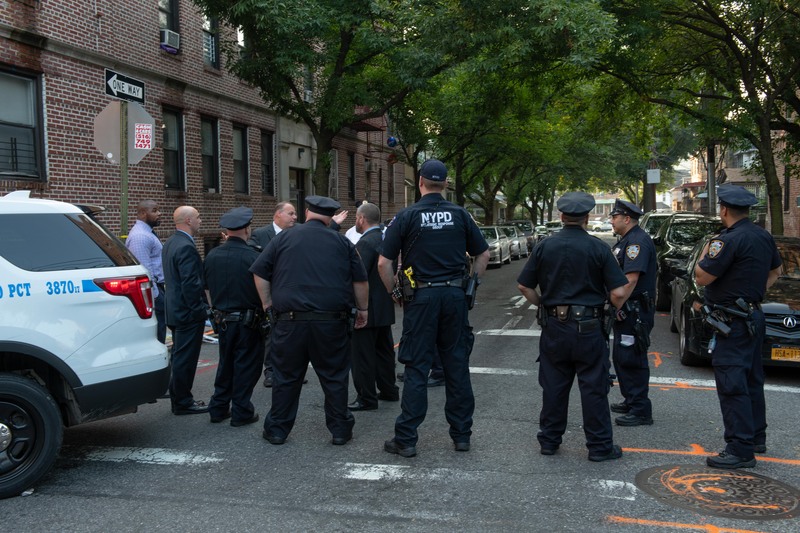 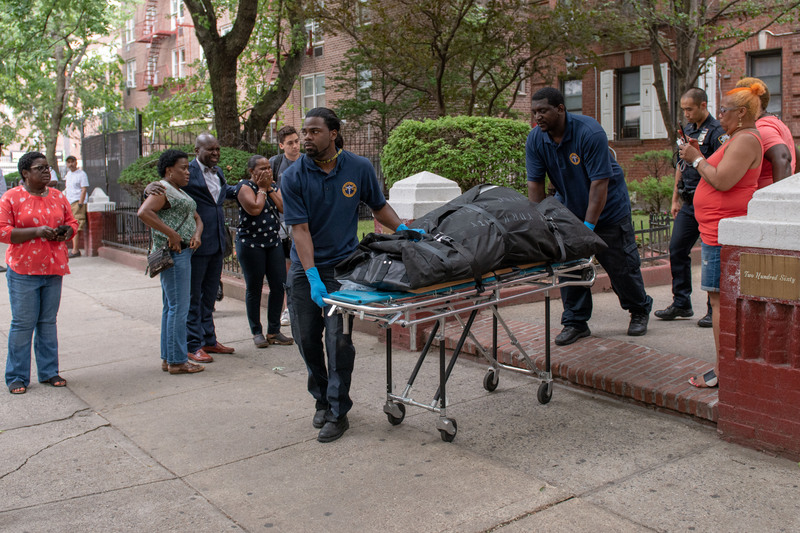 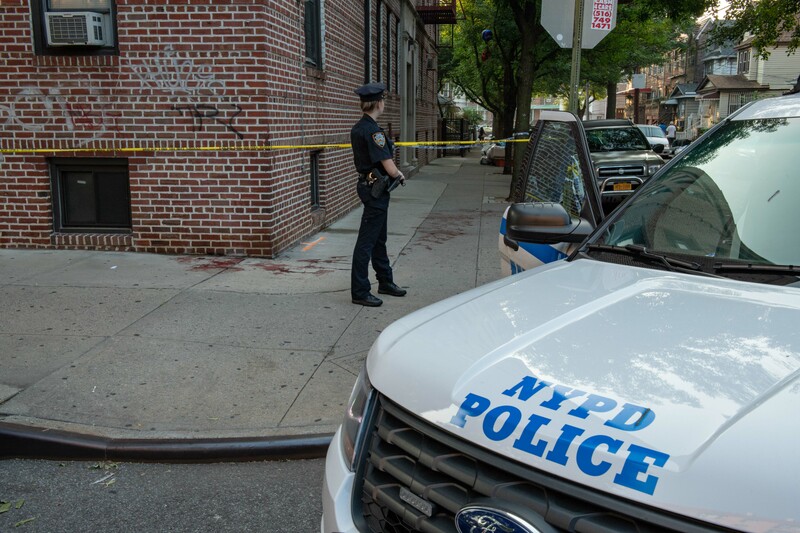 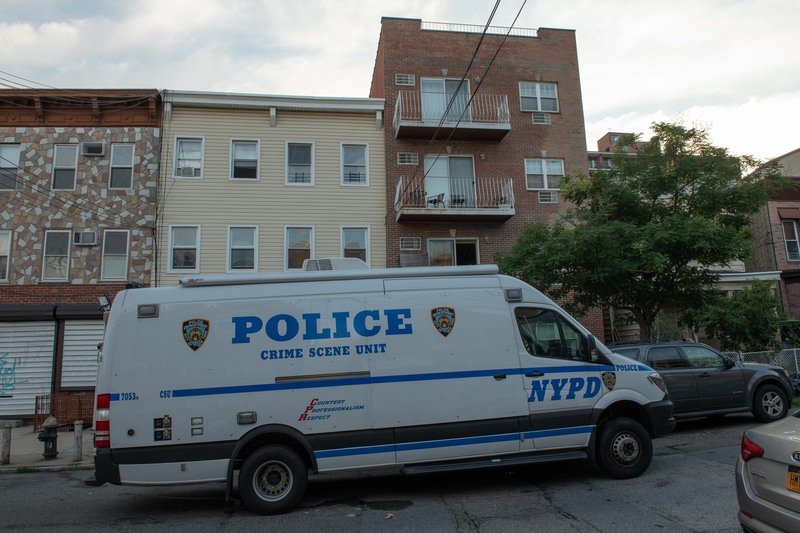 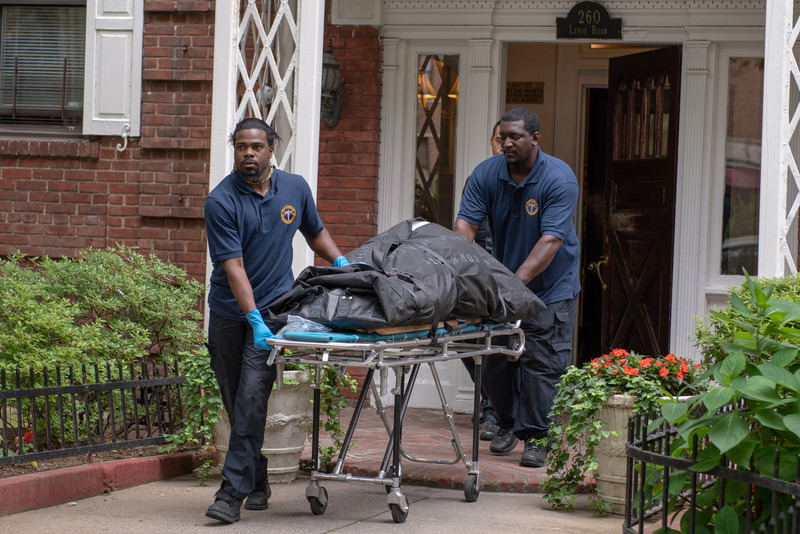 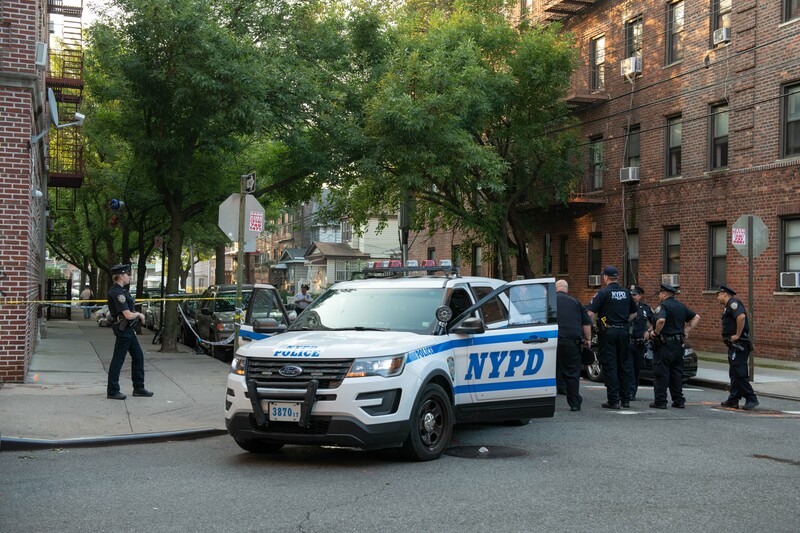 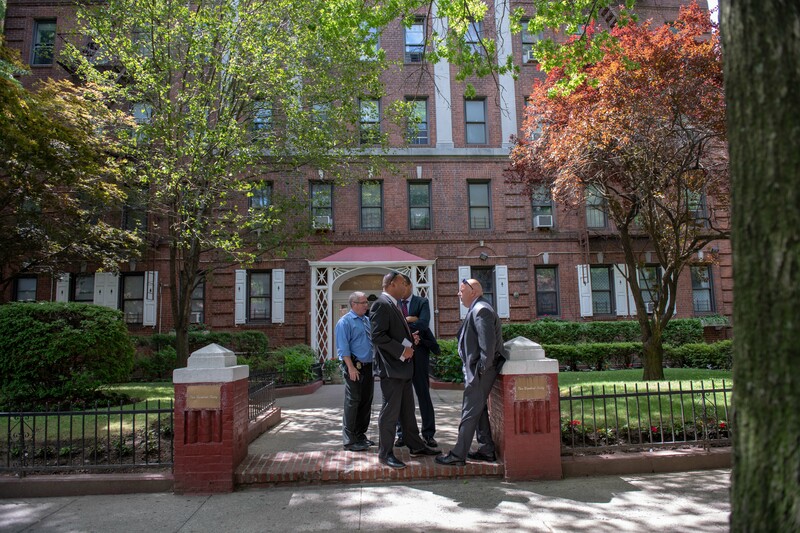 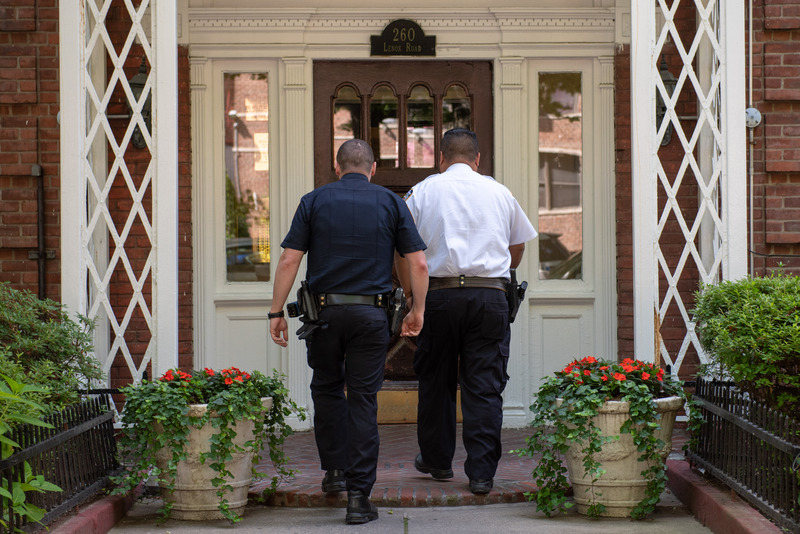 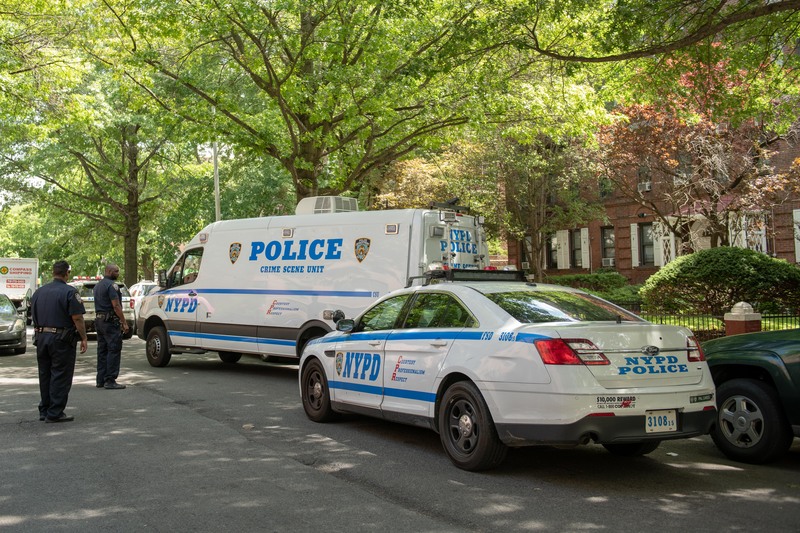 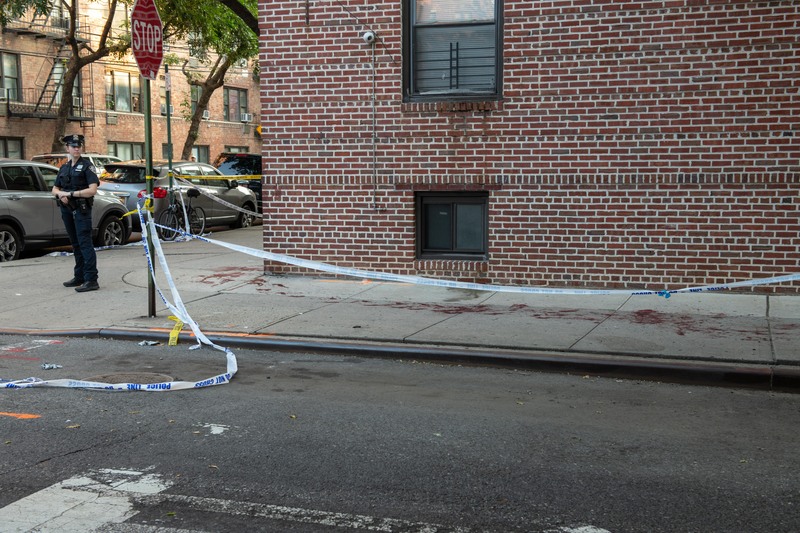 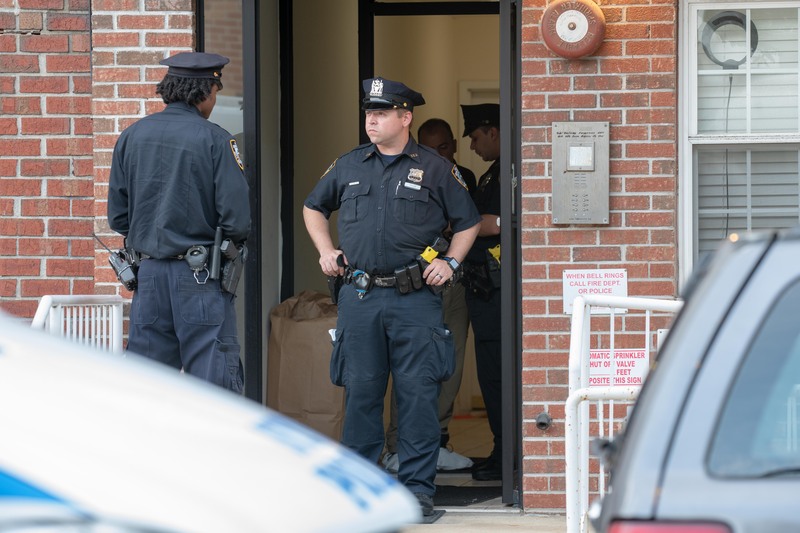 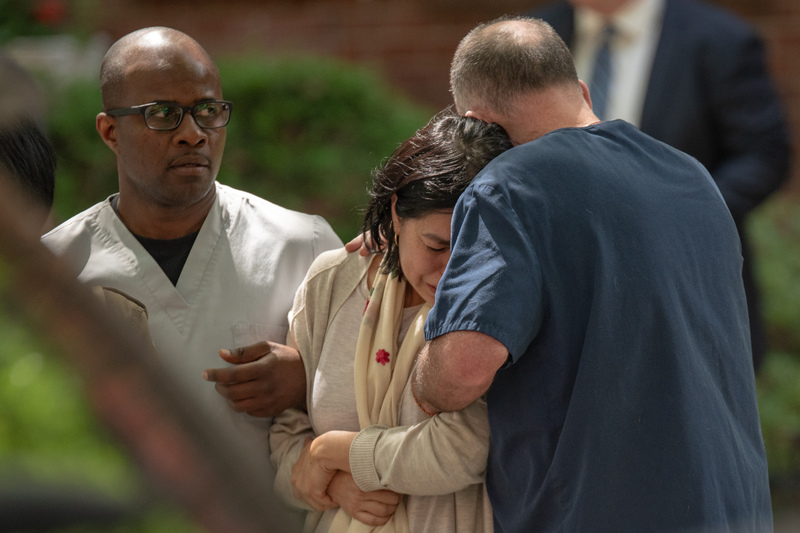 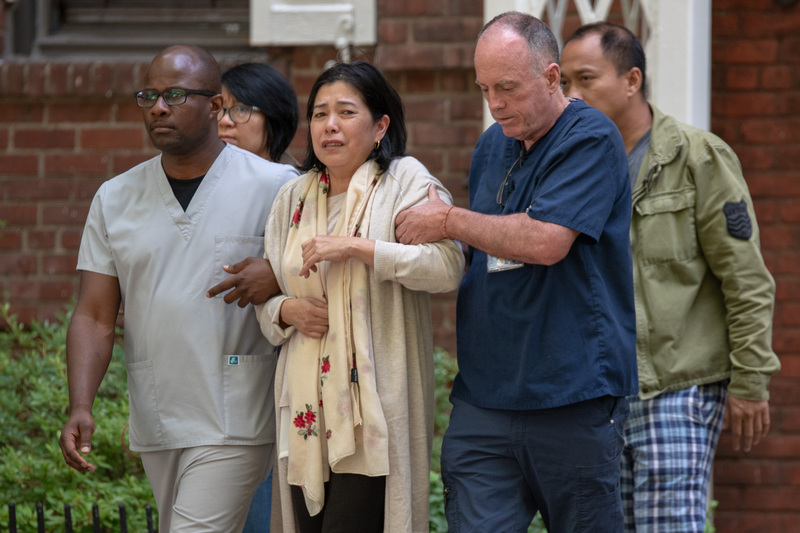 On Monday morning, a woman was rushed to Jacobi Medical Center after she was stabbed multiple times by an ex boyfriend inside her apartment at 665 Allerton Avenue in the Bronx. 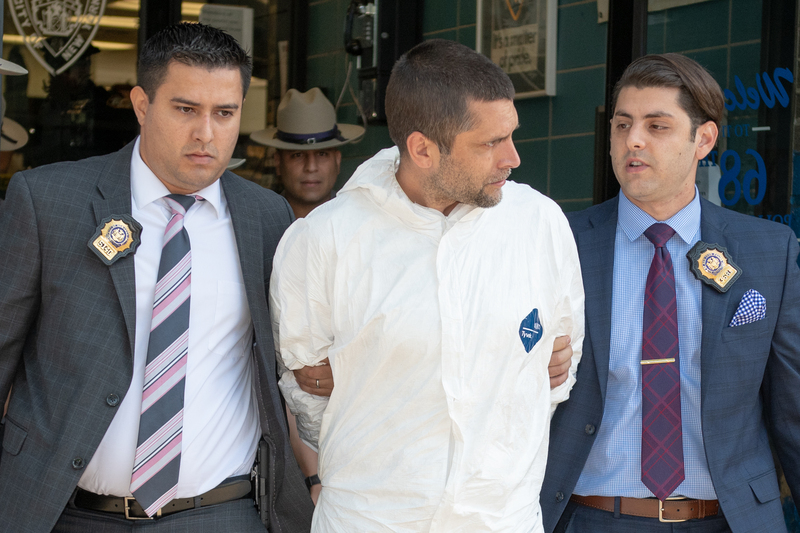 That man was later apprehended at Terminal 4 at JFK International Airport as he made an attempt to flee the Country. 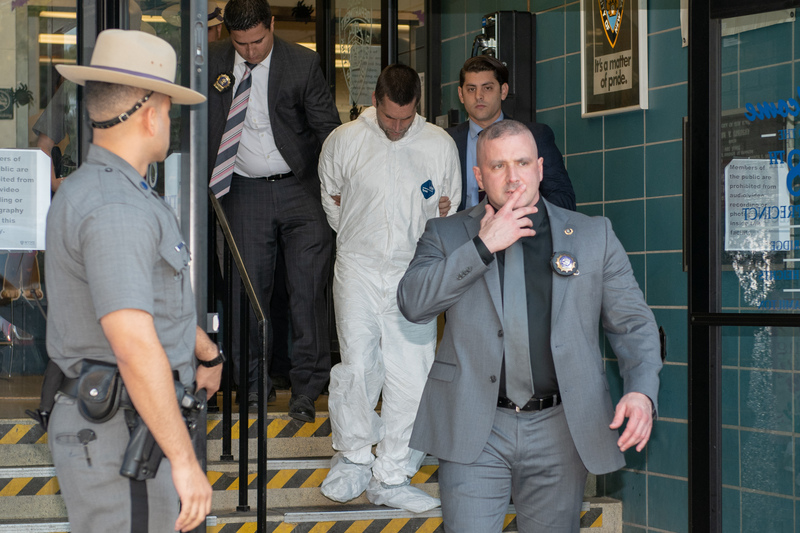 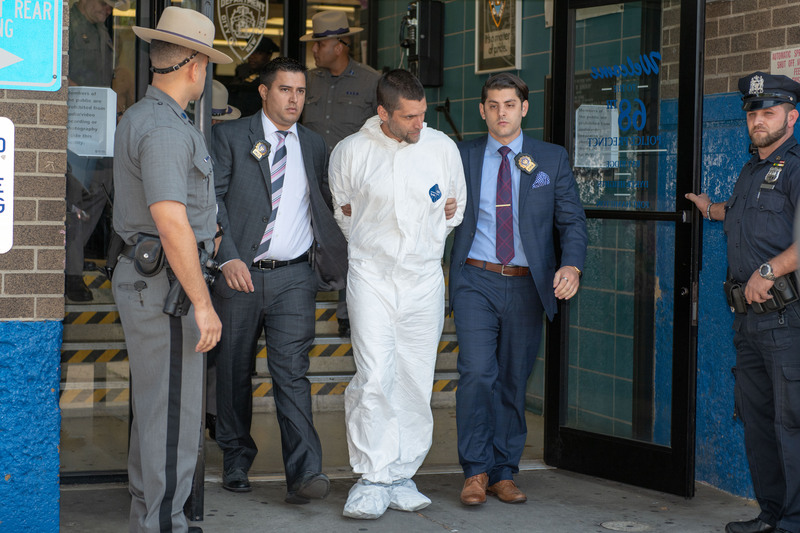 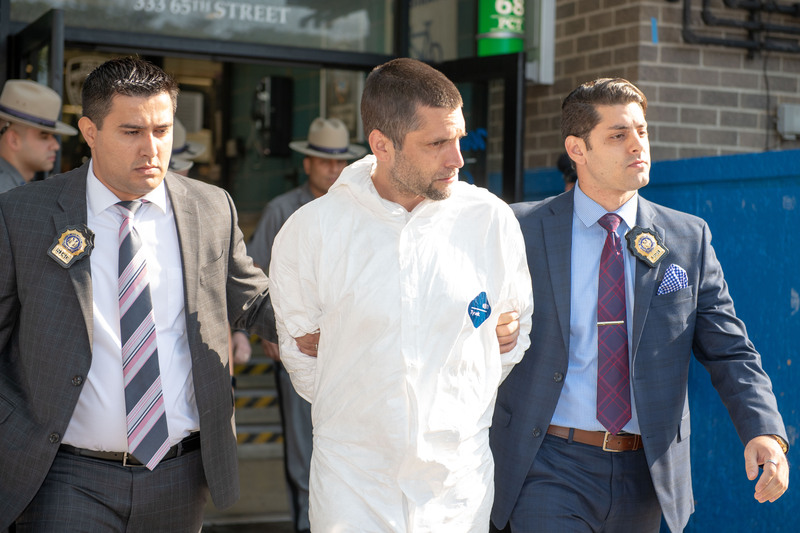 25yr old Geoffrey Tracy was arrested after he allegedly stabbed a 50yr old man multiple times in the neck and torso during a dispute inside an apartment at 348 West 49th Street in Manhattan early Tuesday morning. 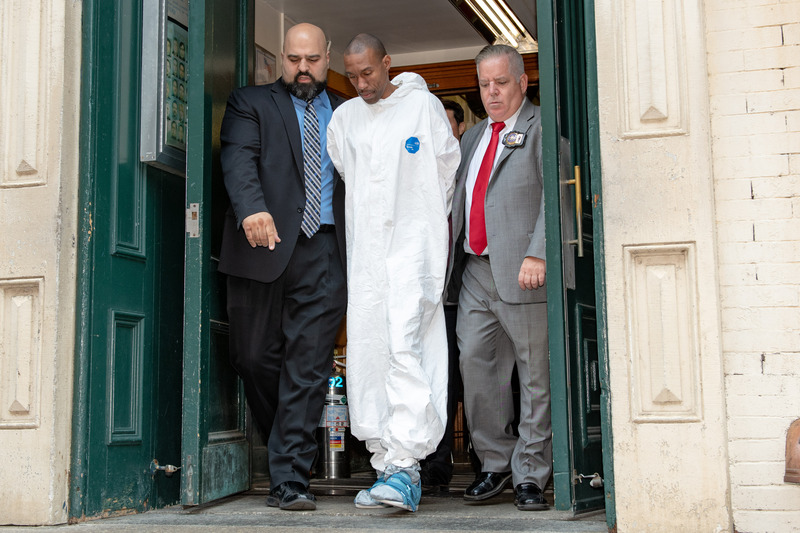 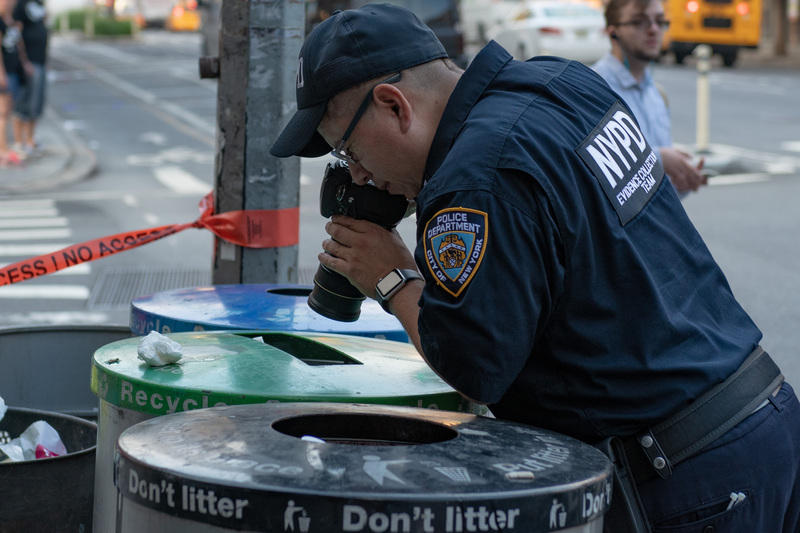 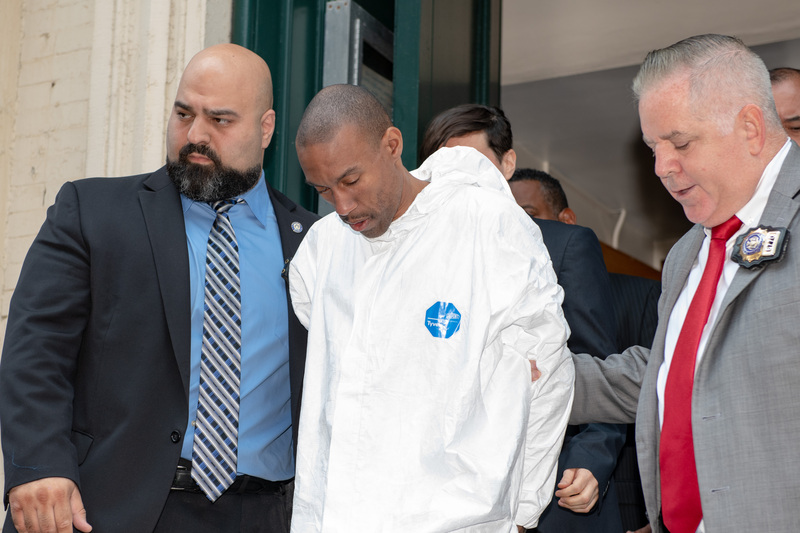 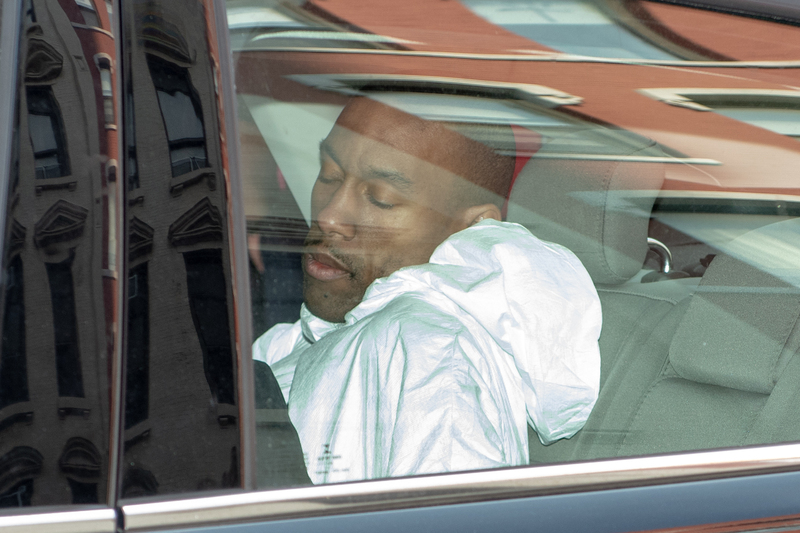 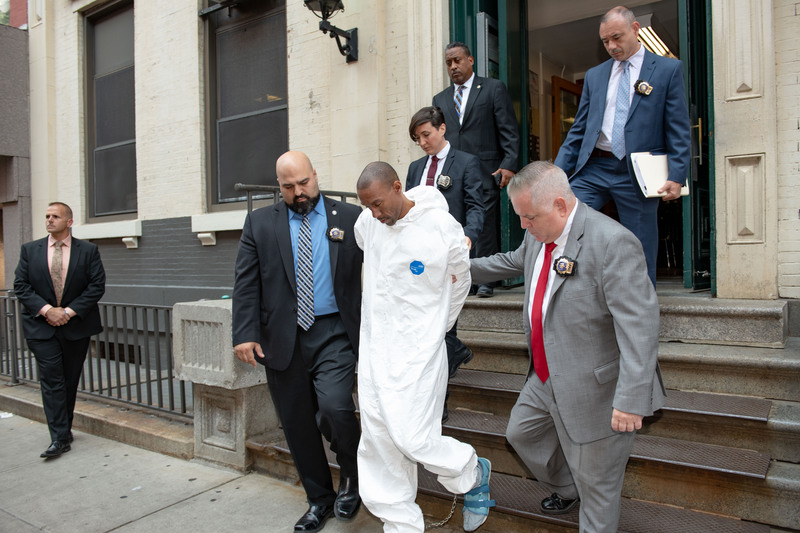 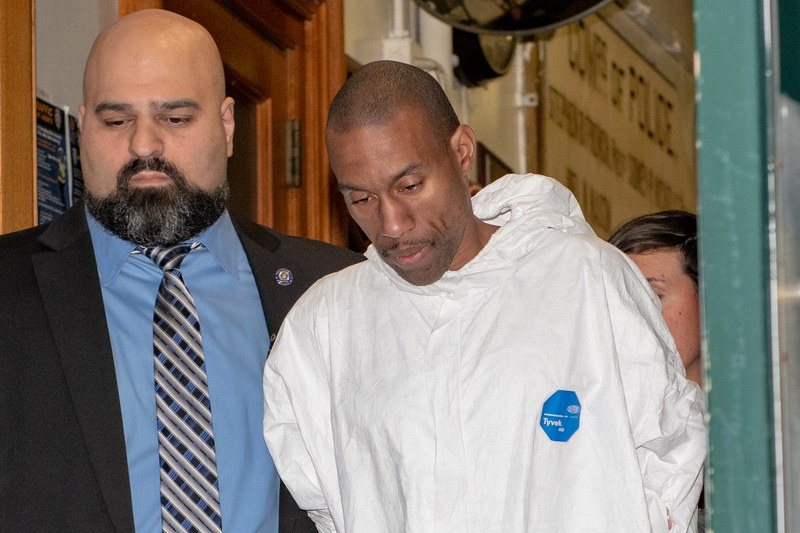 Before he was arrested, Tracy allegedly ran just over a block away to the northeast corner of West 48th Street and 9th Avenue, where he ditched the knife inside a garbage can used for recycling. 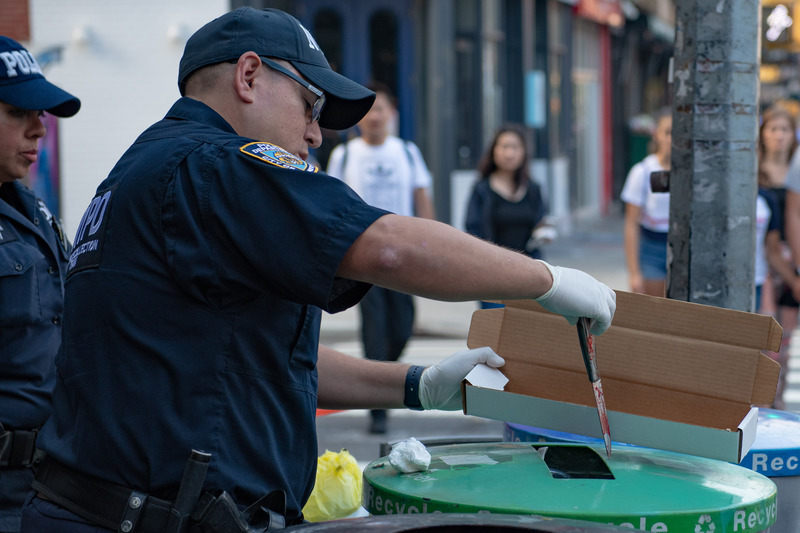 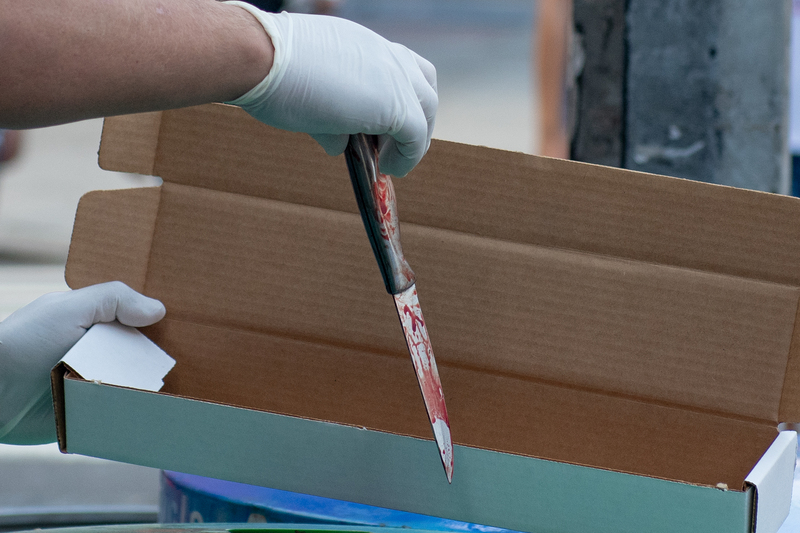 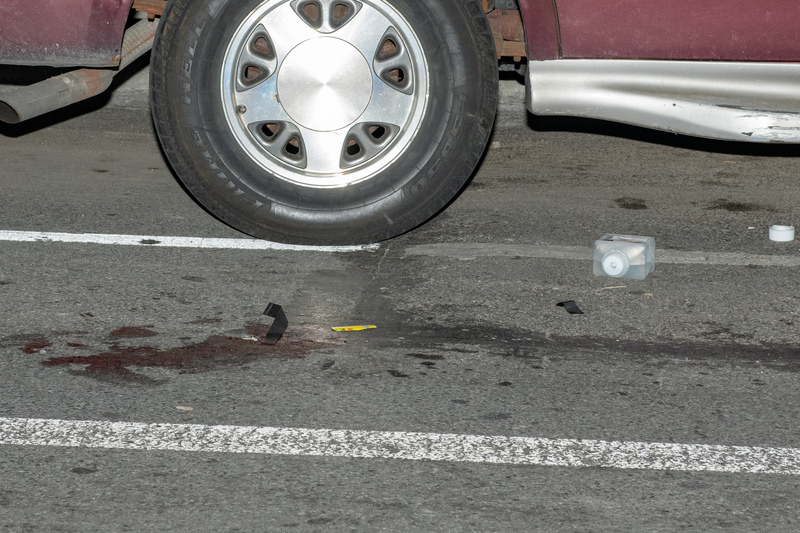 The knife was found during an evidence search and Officers were photographed recovering the bloody knife from the garbage can. 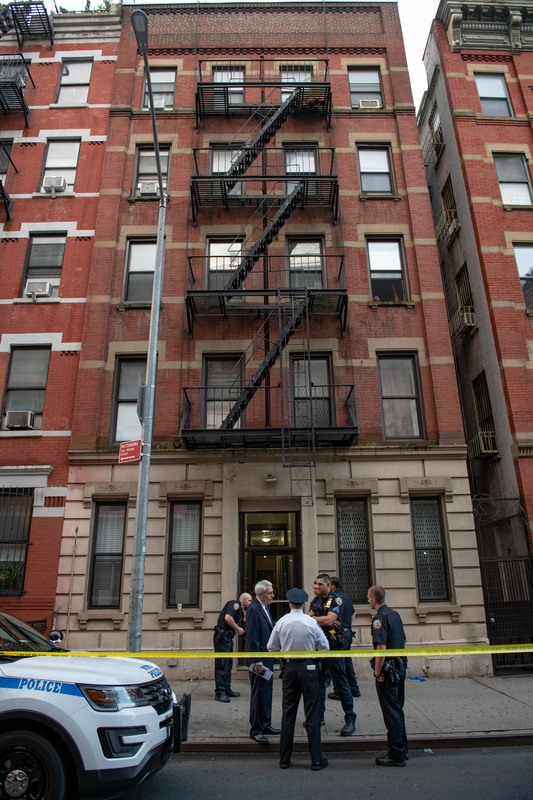 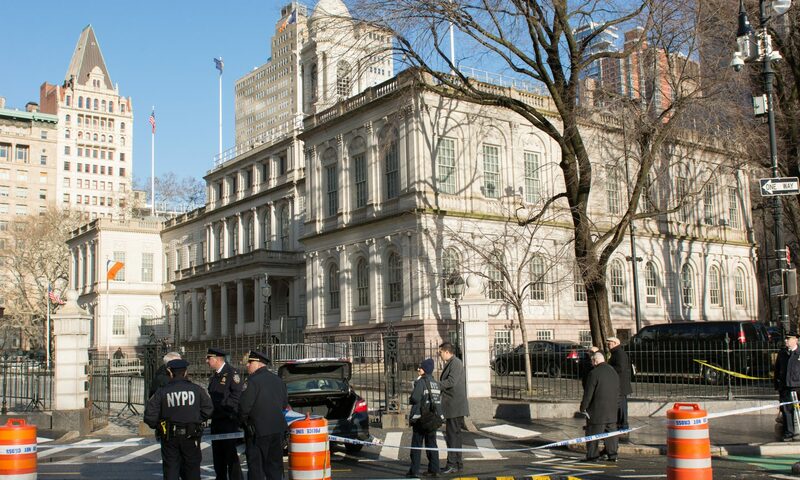 The victim was rushed to Bellevue Hospital in very critical condition. 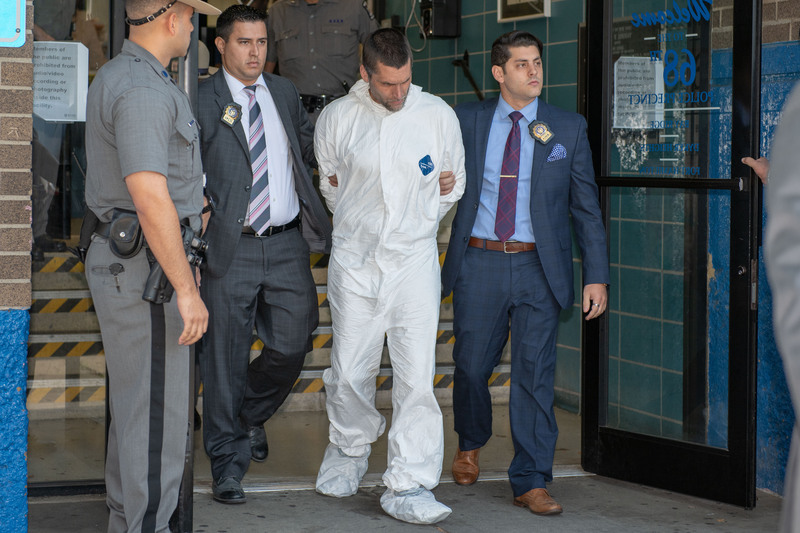 Geoffrey Tracy, who is from California (and can be seen here), was charged with Attempted Murder and Felony Assault. 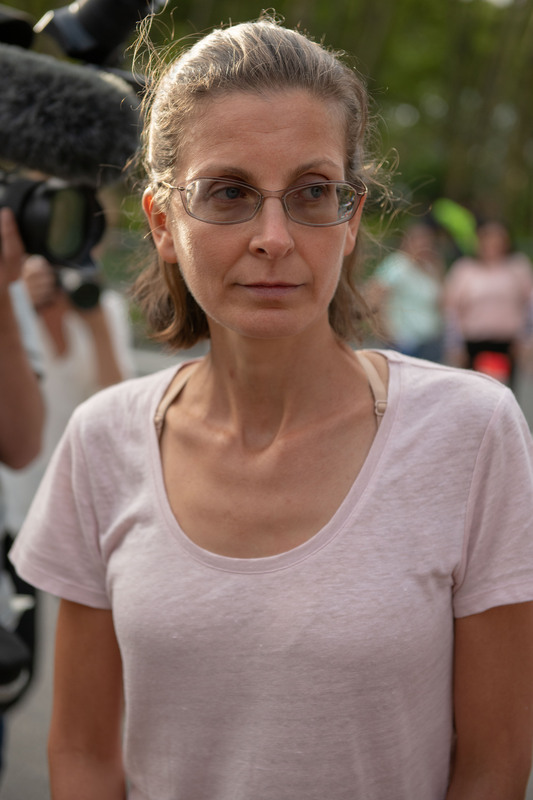 Clare Bronfman, the millionaire heiress of the Seagram Liquor fortune, was arrested by the feds today, Tuesday July 24, 2018, for her involvement in NXIVM and the secret group ‘DOS’, headed by Keith Raniere (who was the only male in DOS) and alleged right hand man Allison Mack, both of whom are currently facing their own charges. 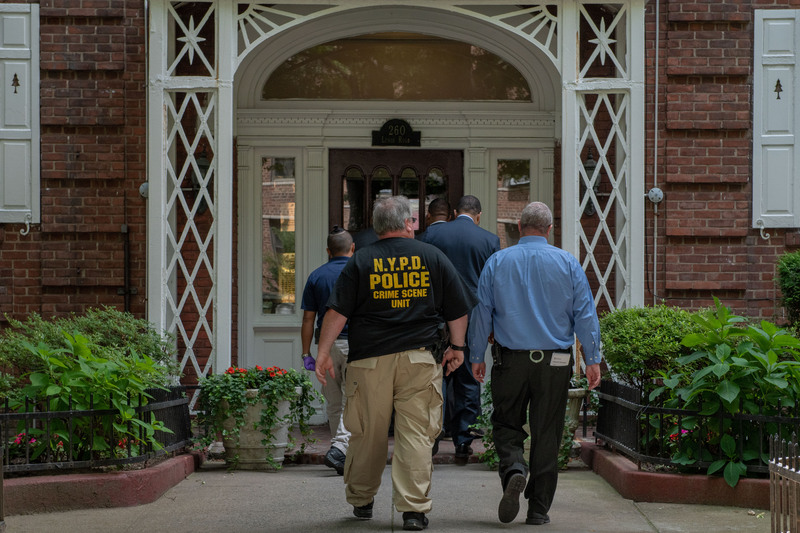 The arrest came after Clare was indicted by a Federal Grand Jury in Brooklyn. 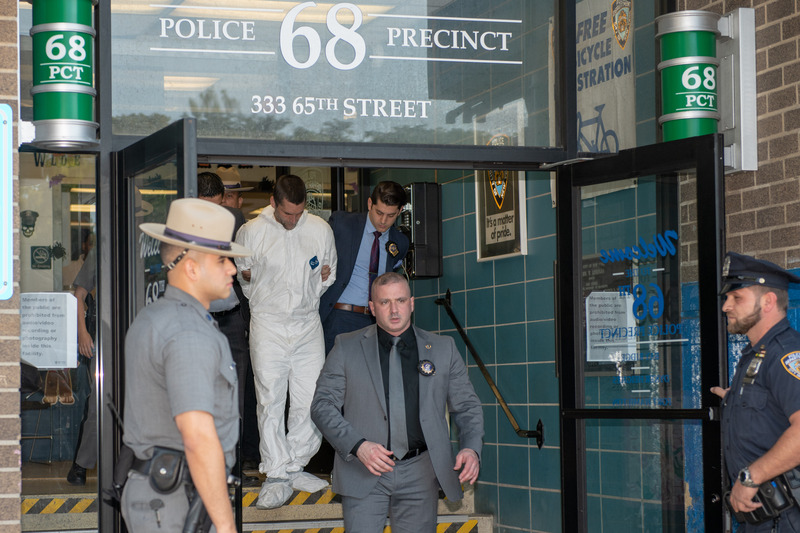 Also indicted were Kathy Russell, Lauren Salzman and Nancy Salzman. 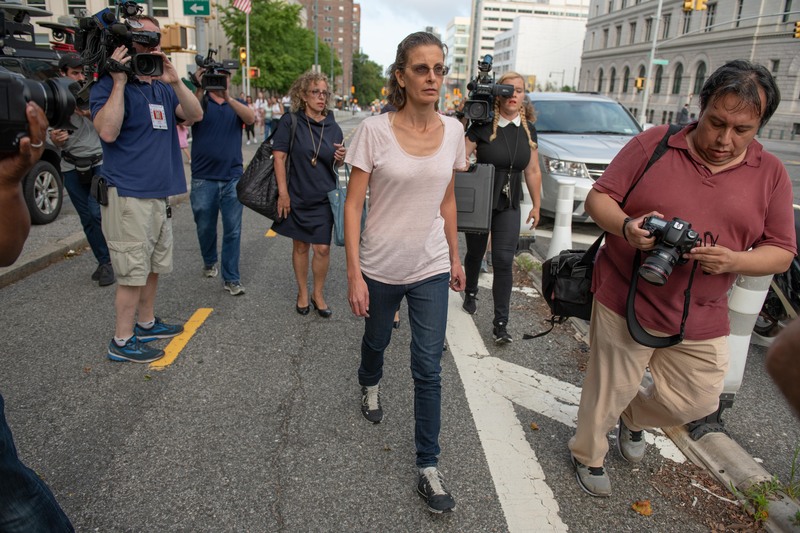 Clare Bronfman has been charged with Racketeering Conspiracy and Identity Theft, among other things. 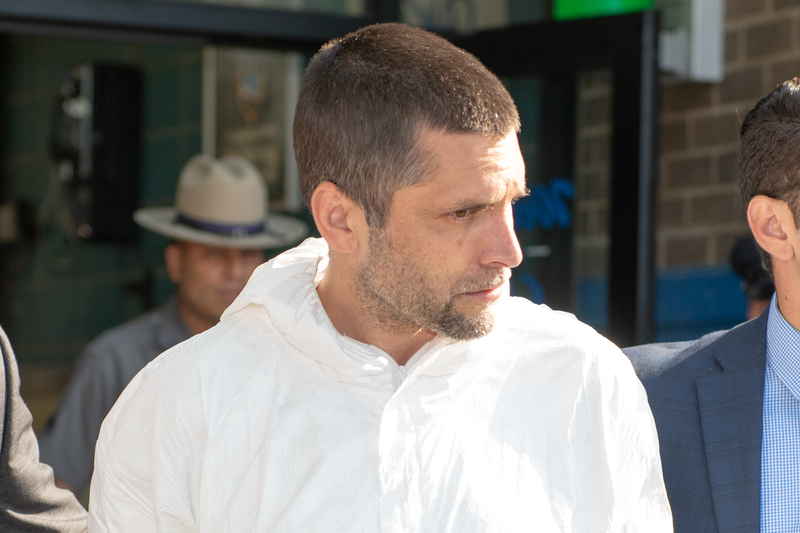 Prosecutors told Judge Nicholas G. Garaufis that Bronfman posed a significant flight risk. 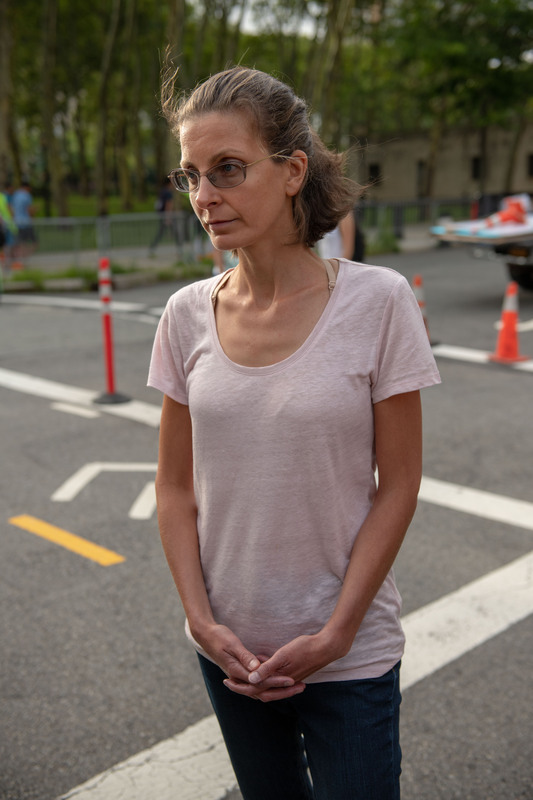 According to Prosecutors, Bronfman has led efforts to discredit ‘DOS’ victims, even orchestrating abusive litigation in order to intimidate and attack any perceived enemies and critics of Keith Raniere. 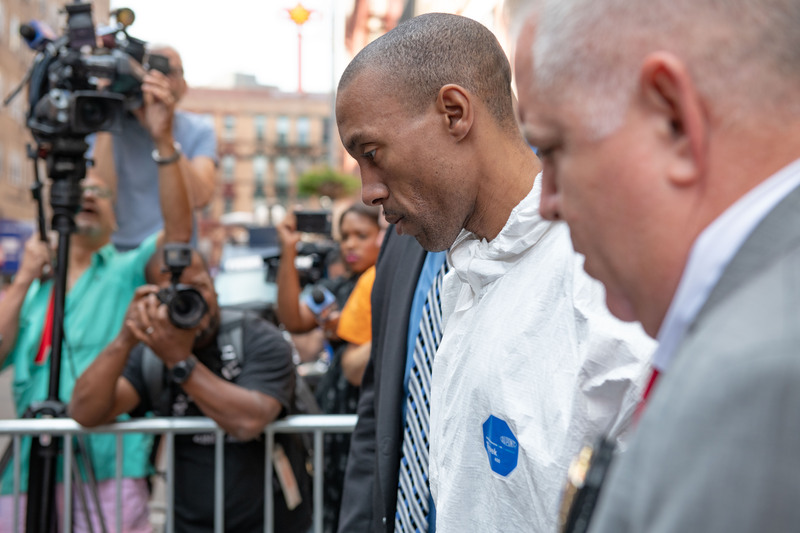 Prosecutors asked for, and got, a bond in the amount of one hundred million dollars. 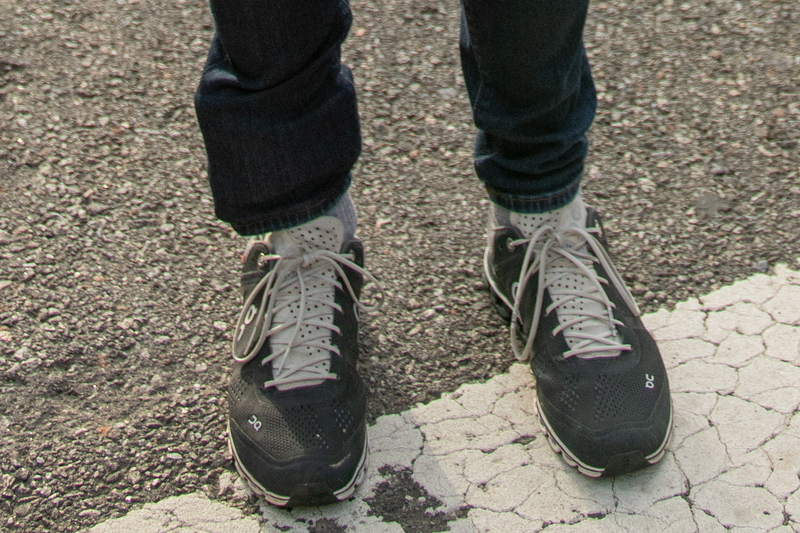 Bronfman was also made to wear an ankle bracelet to monitor her movements and will be home confined. 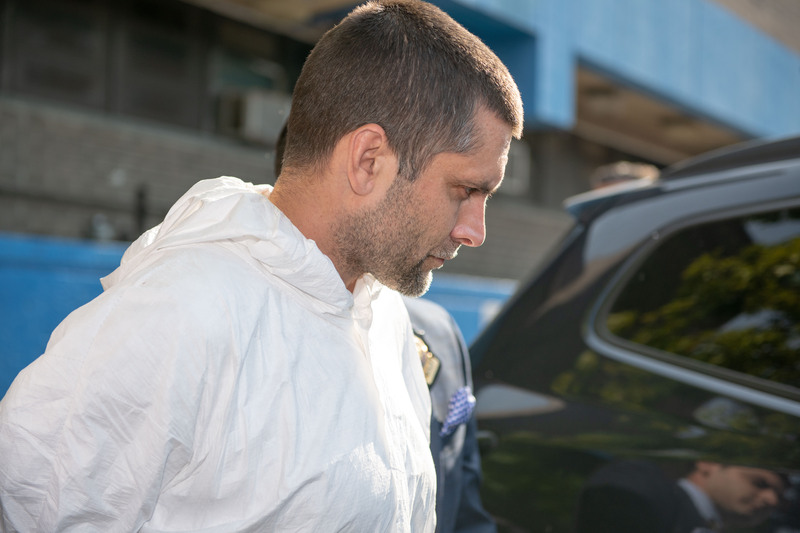 Bronfman is due back in court tomorrow, Wednesday July 25, for a status hearing. 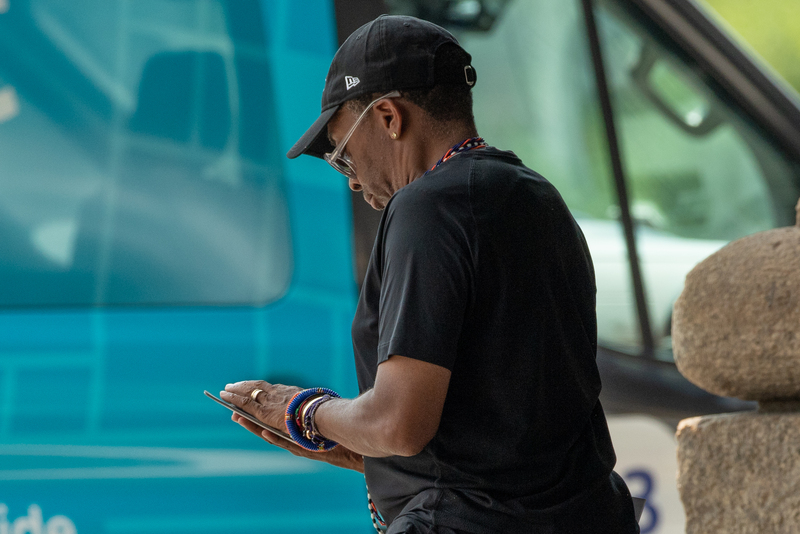 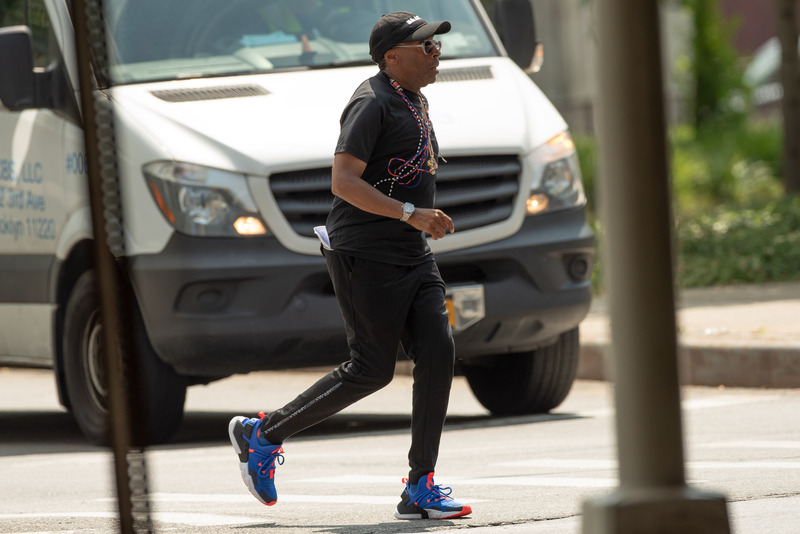 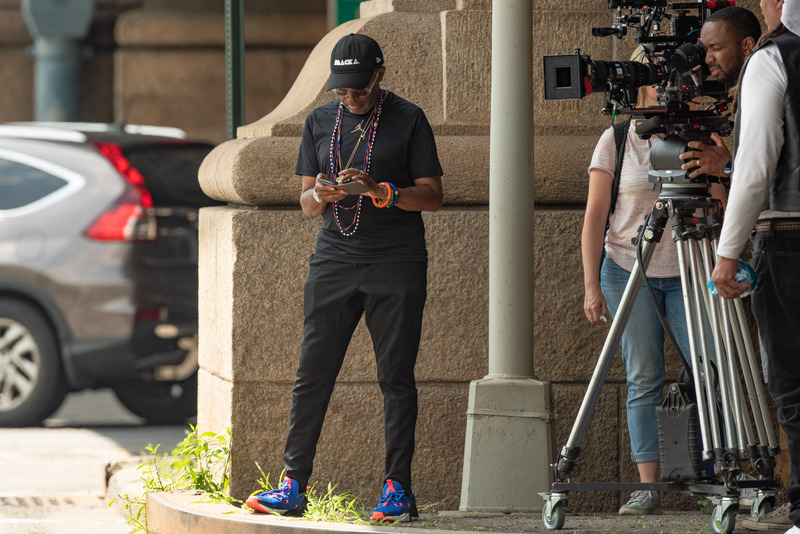 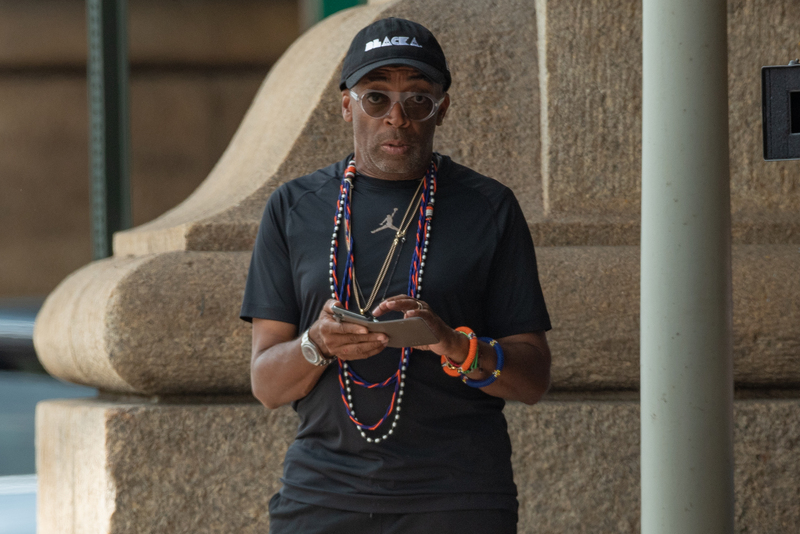 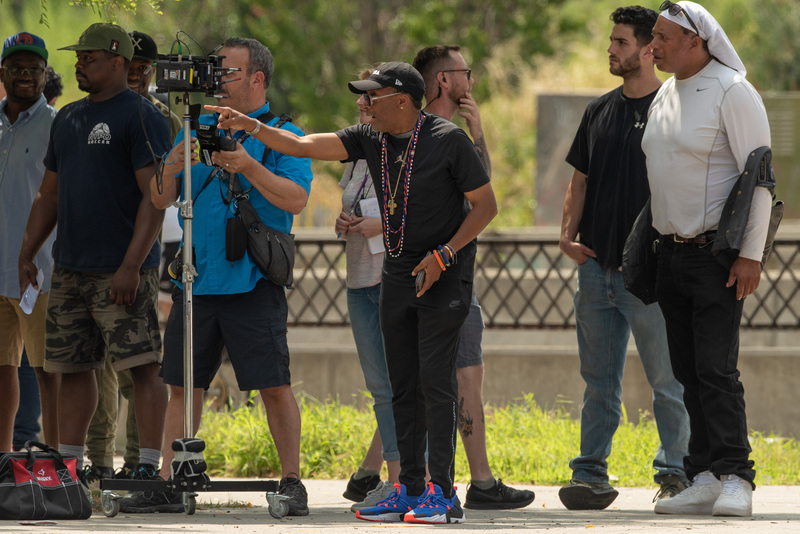 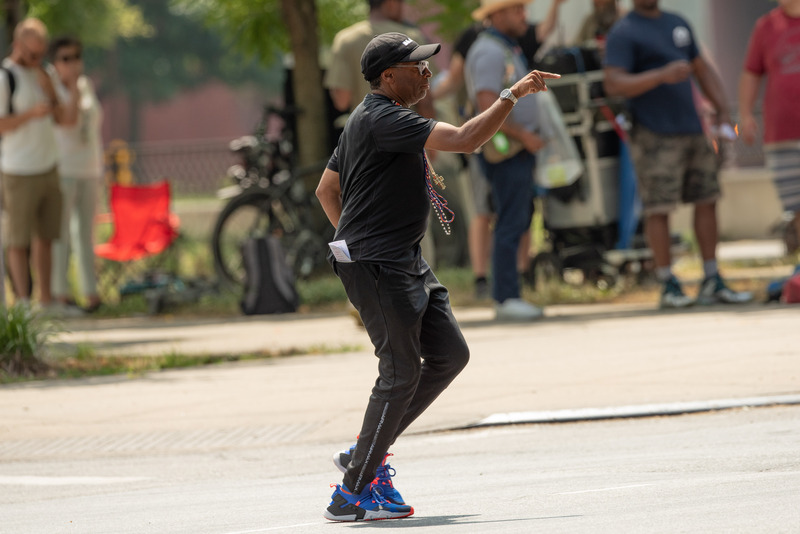 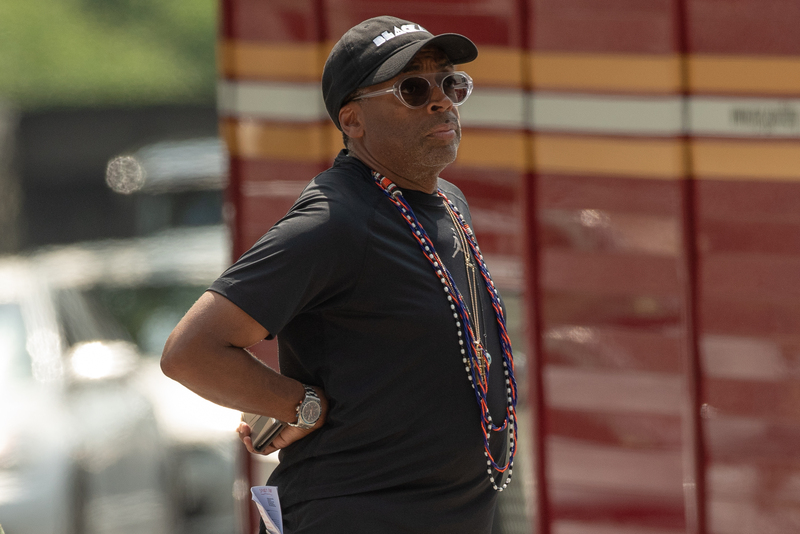 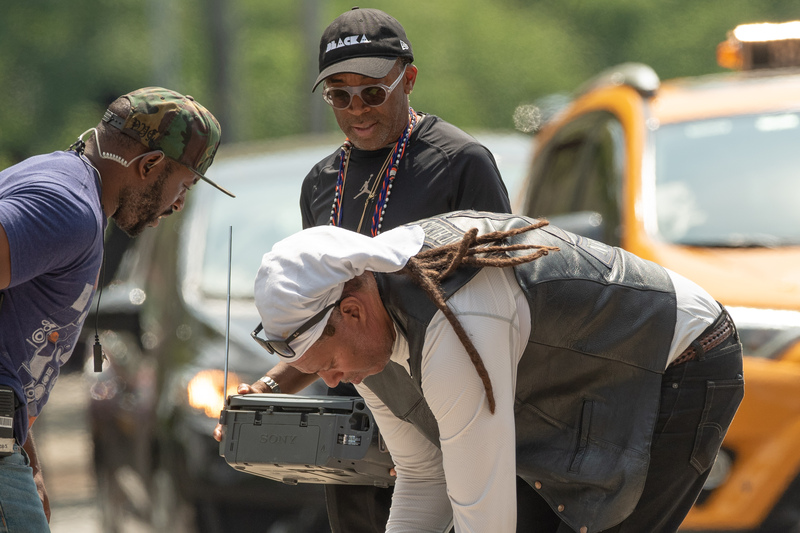 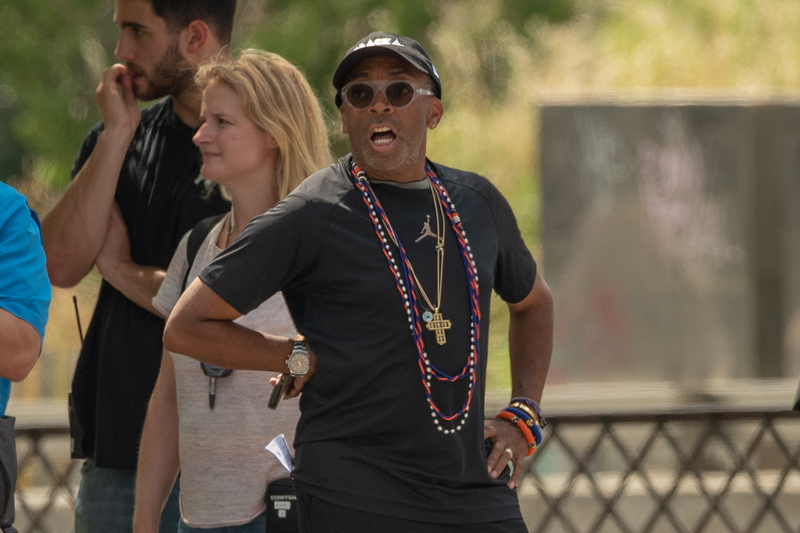 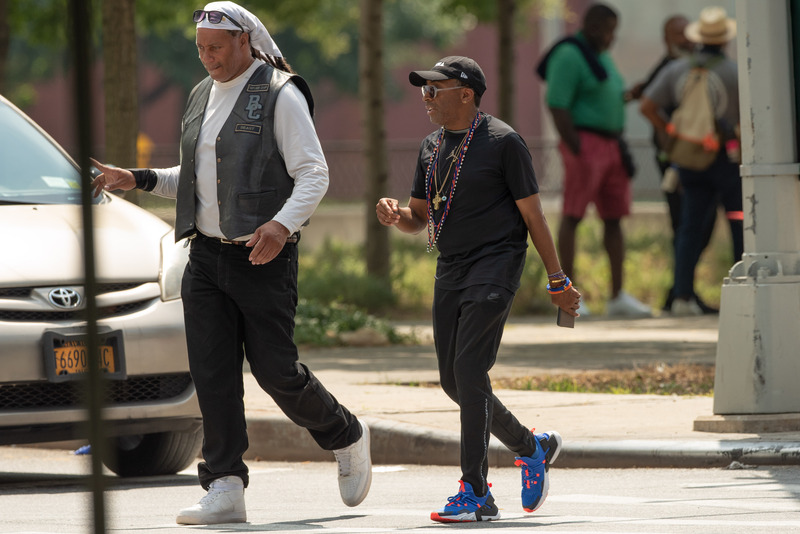 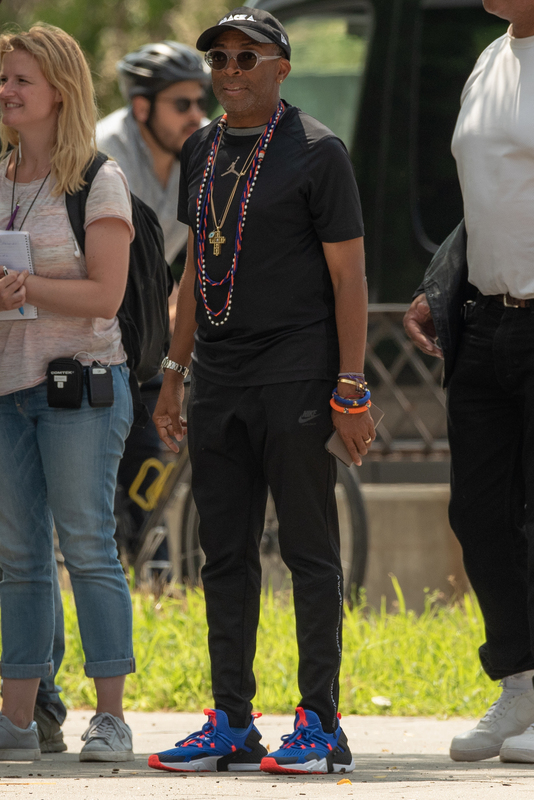 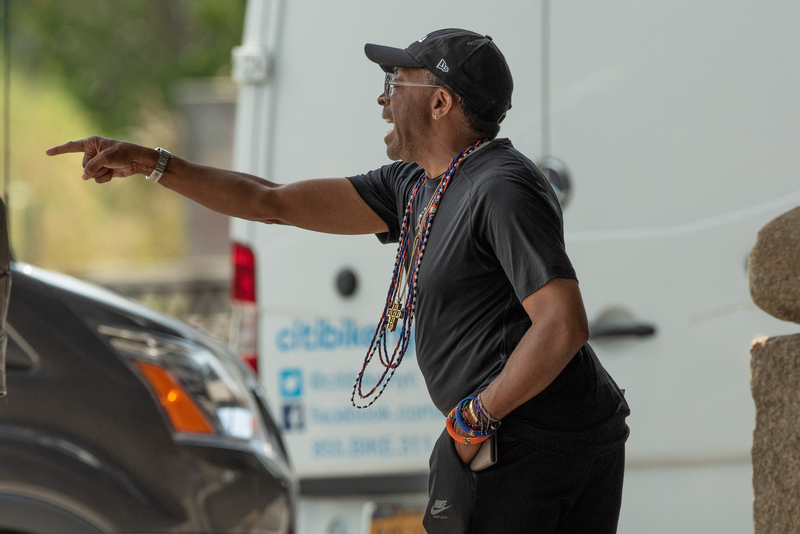 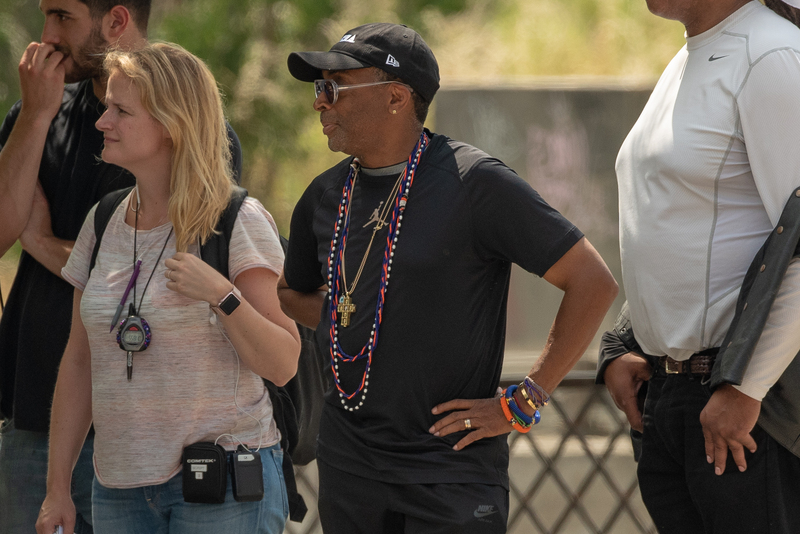 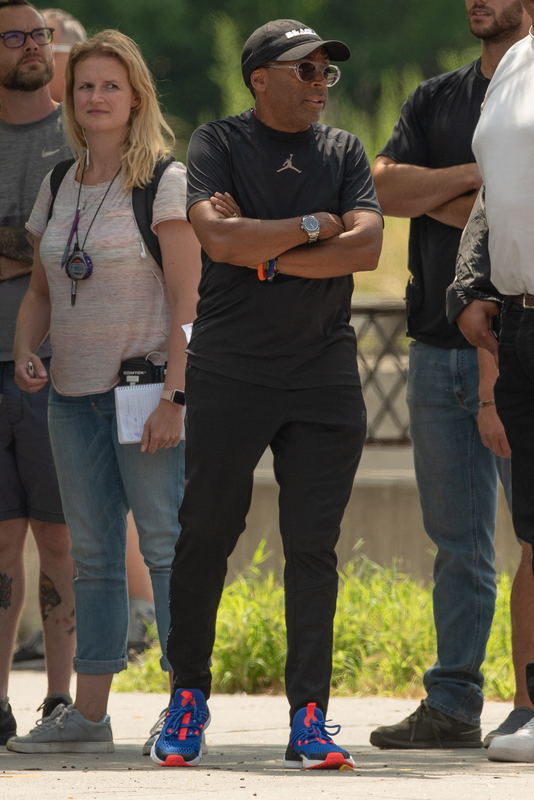 Director Spike Lee was spotted filming a segment of his Netflix series ‘She’s Gotta Have It’ on the streets of Brooklyn on Friday. 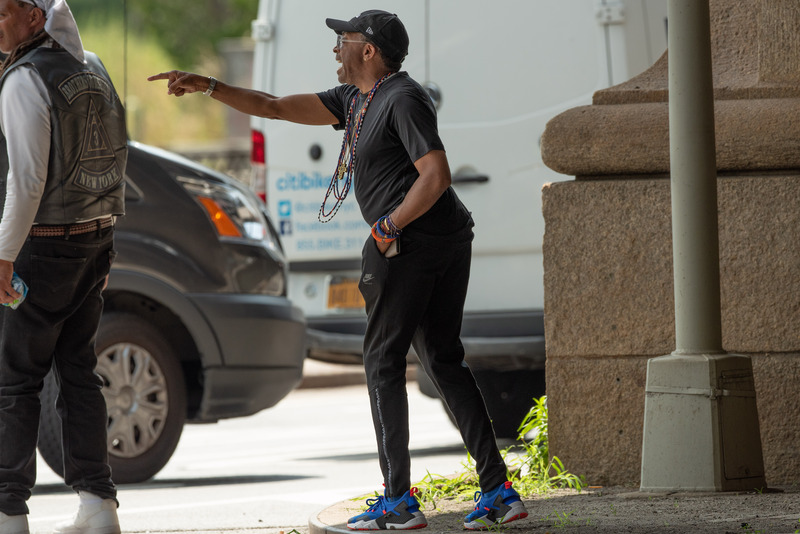 The segment involved Actor Anthony Ramos Martinez, who could be seen hawking bottles of water to unsuspecting drivers as the cameras rolled from several directions.